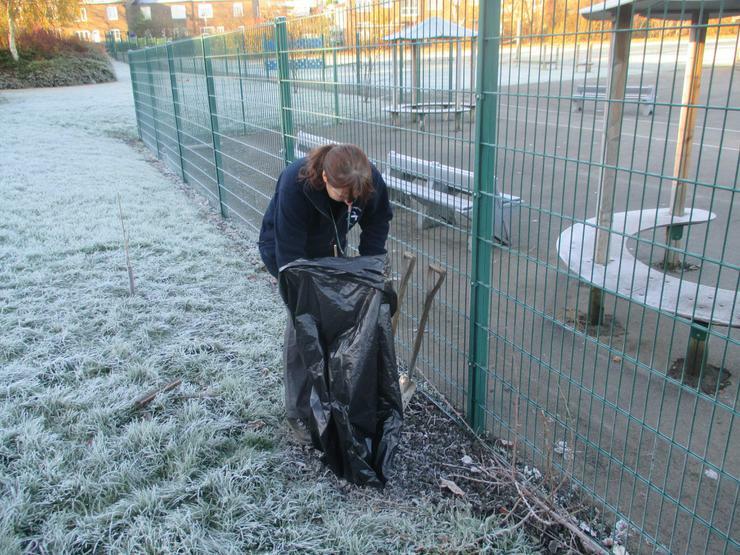 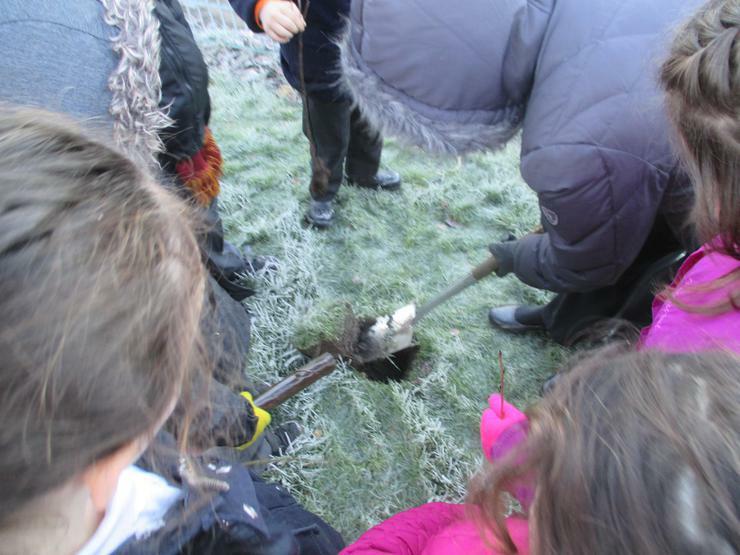 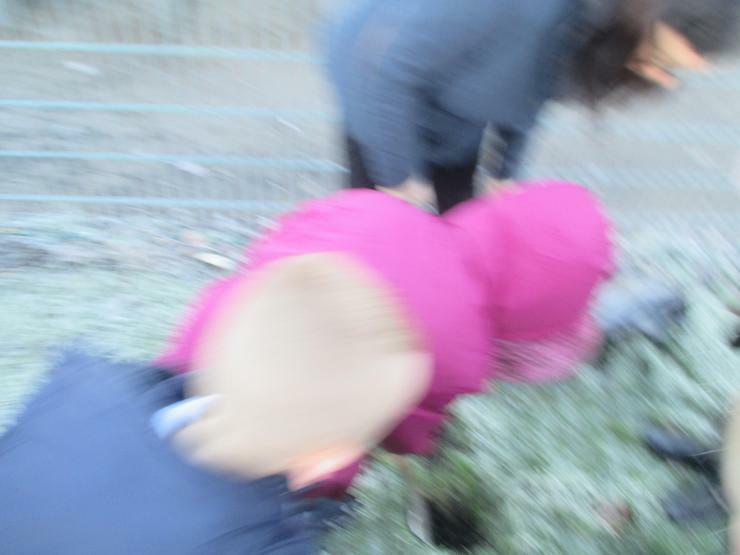 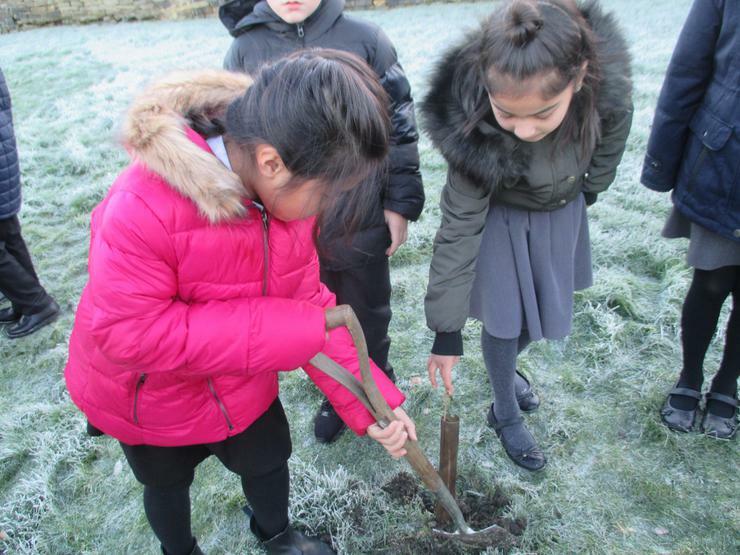 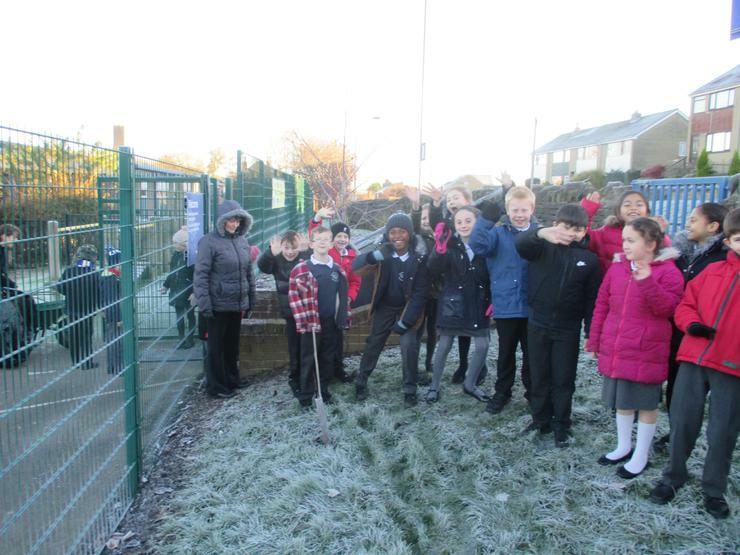 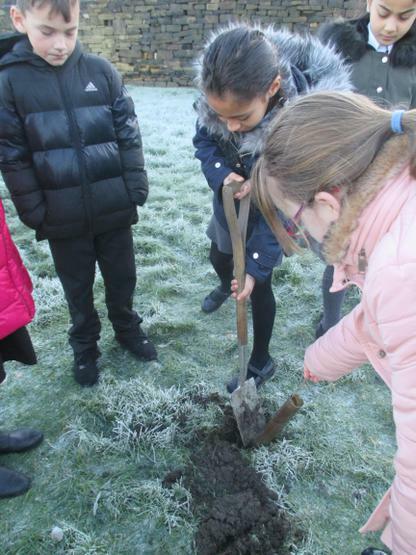 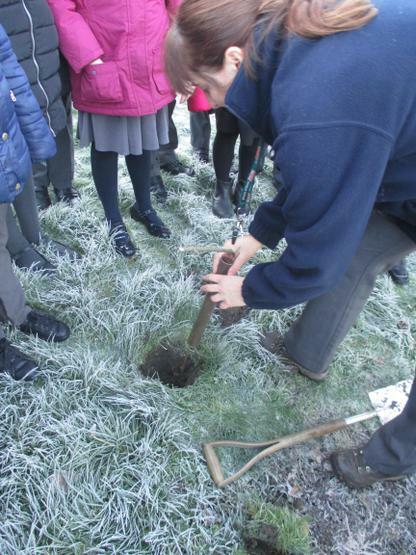 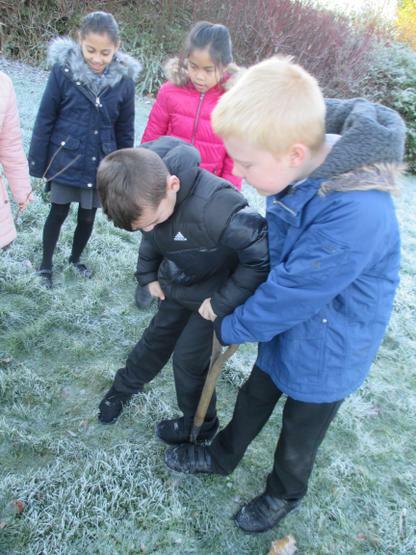 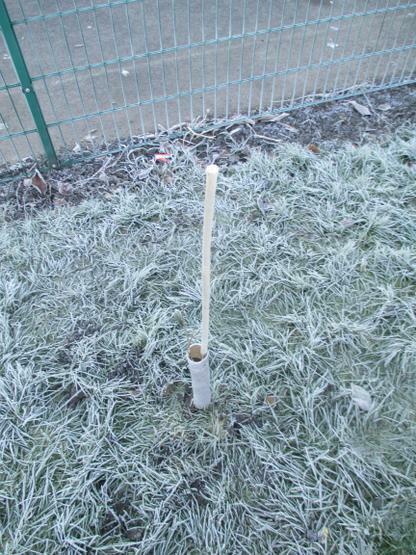 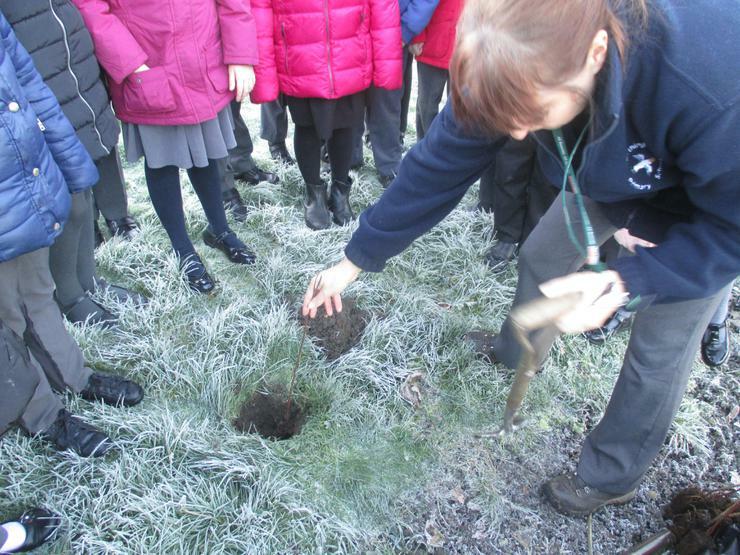 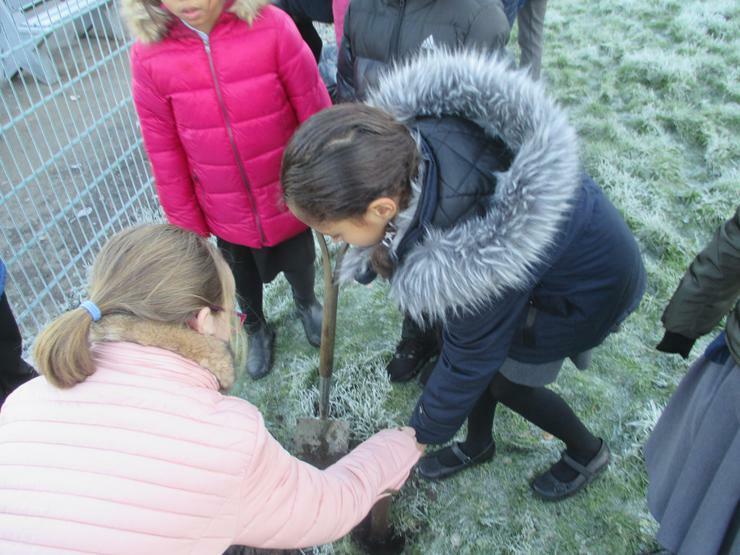 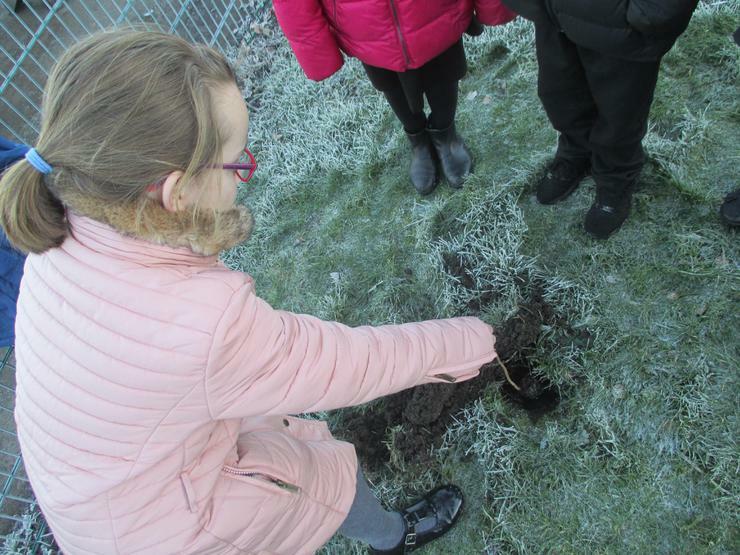 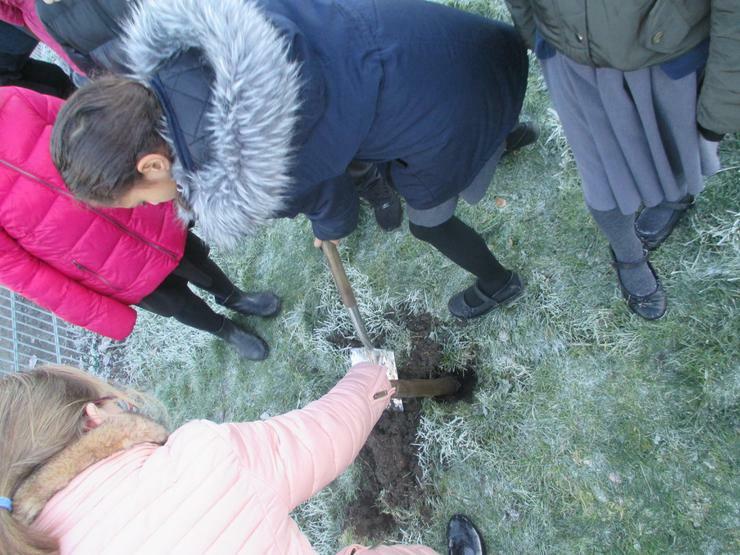 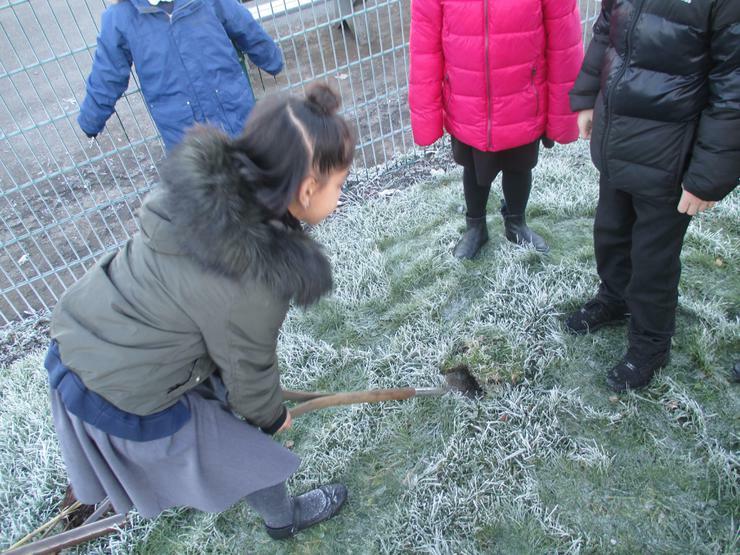 As part of Tree Week, in Year 4, today we planted birch, rowan, and cherry trees. 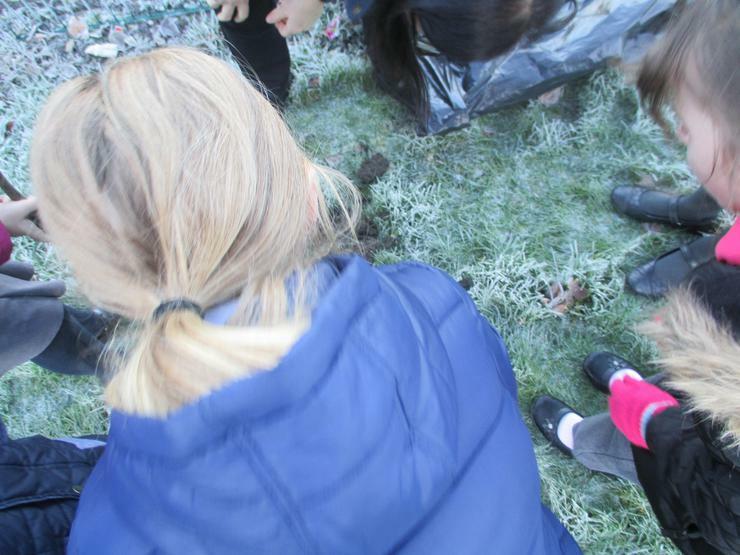 As you can see the ground was very hard but we put our backs into it and managed to break through the top layer of soil! 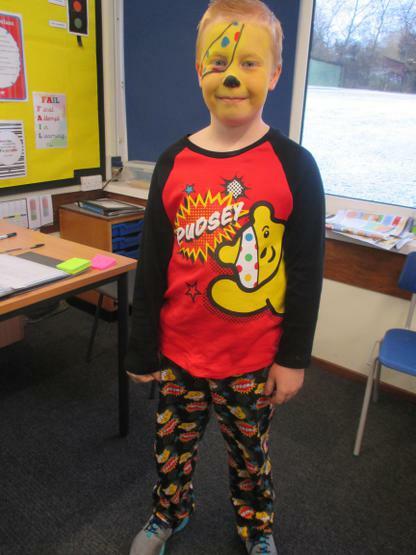 BBC Children in Need funding relies on the energy and commitment of thousands of fundraisers and supporters across the UK who donate their time and money to support the Appeal. 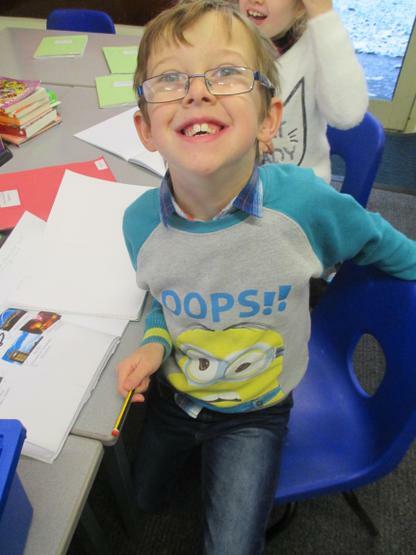 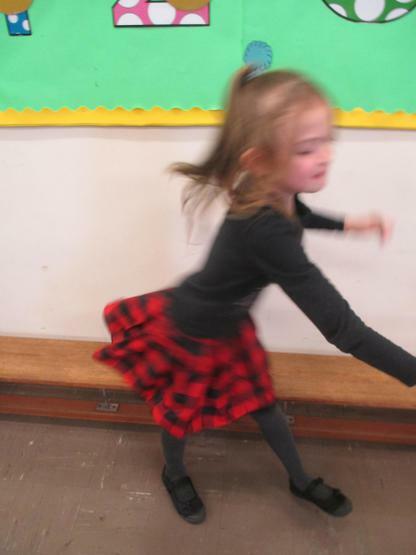 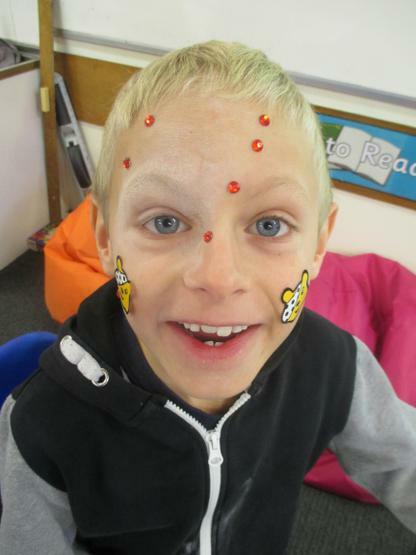 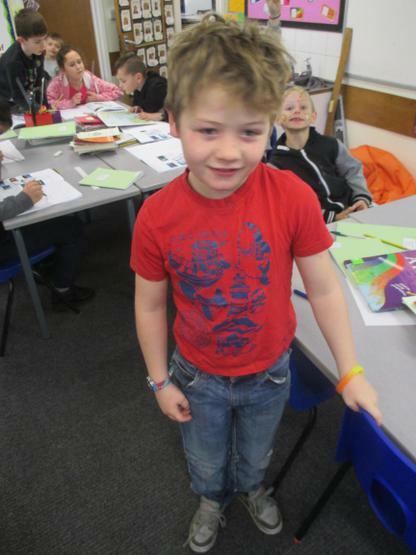 At Worthinghead today, we raised money by wearing something spotty to school and donating £1. 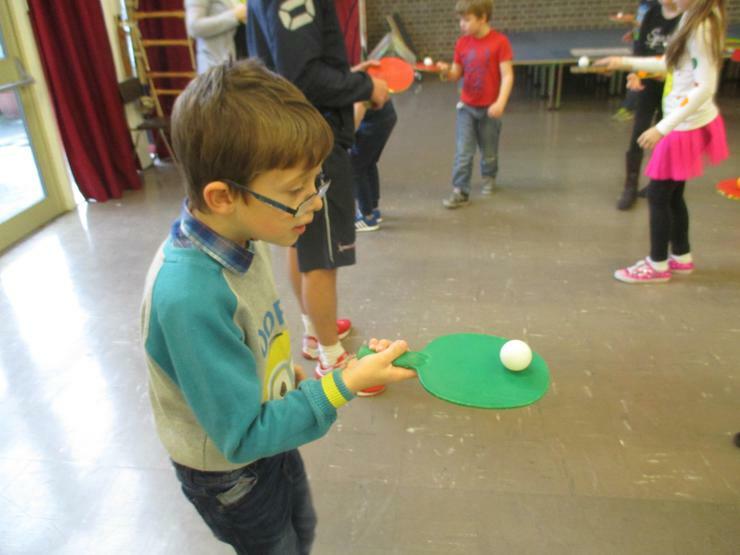 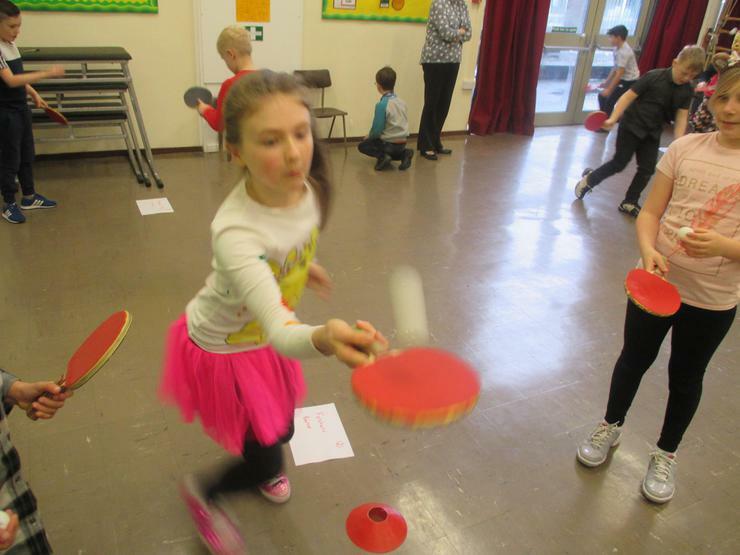 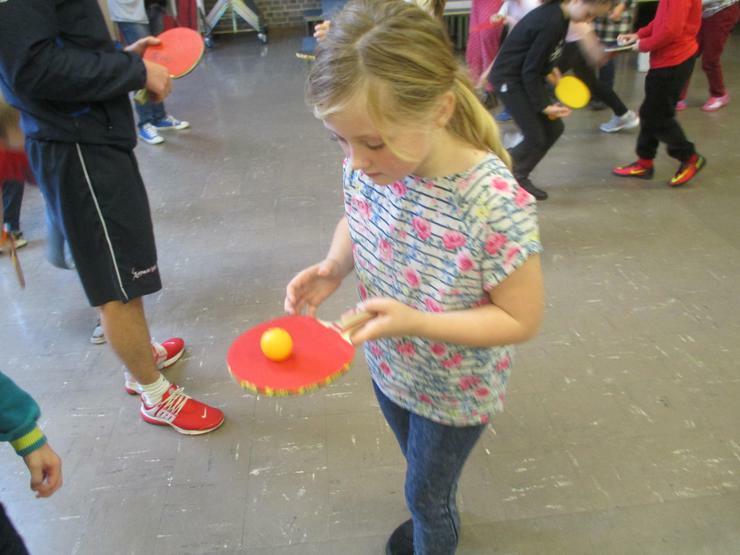 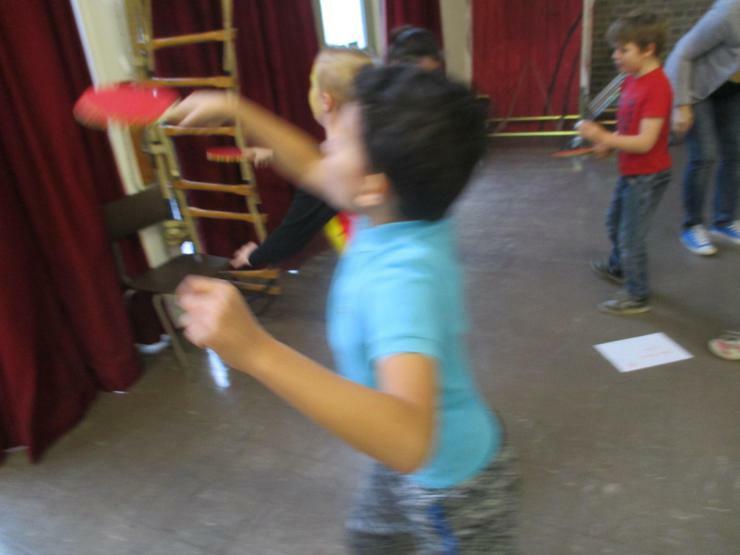 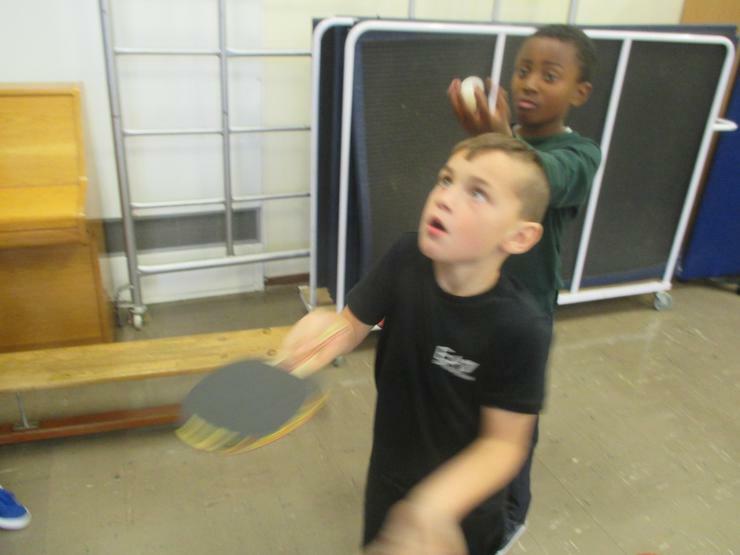 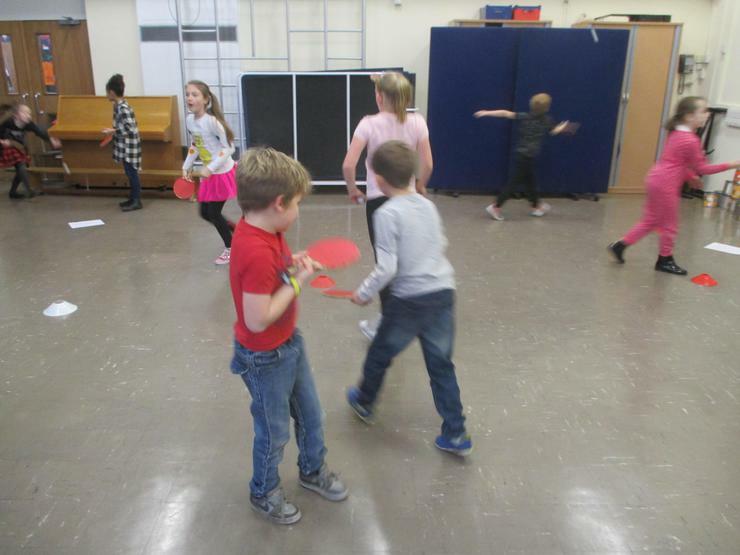 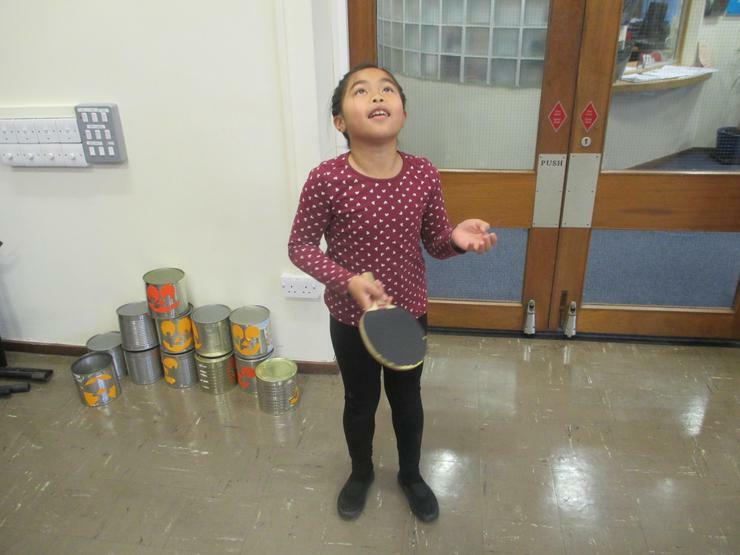 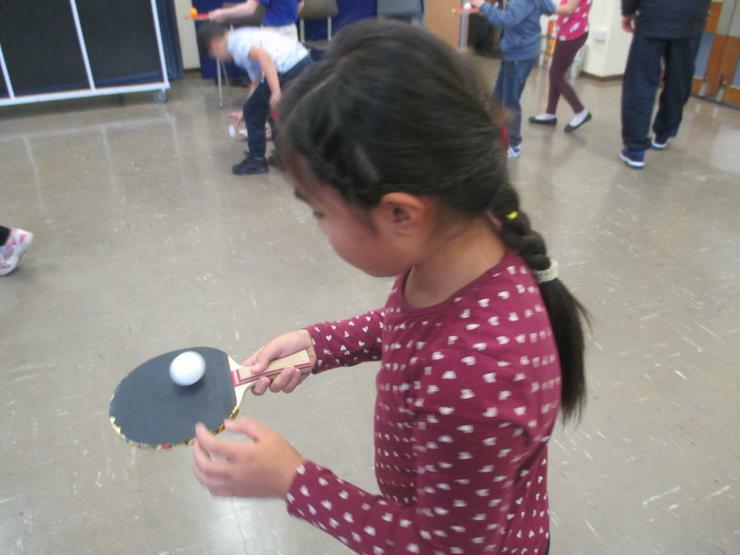 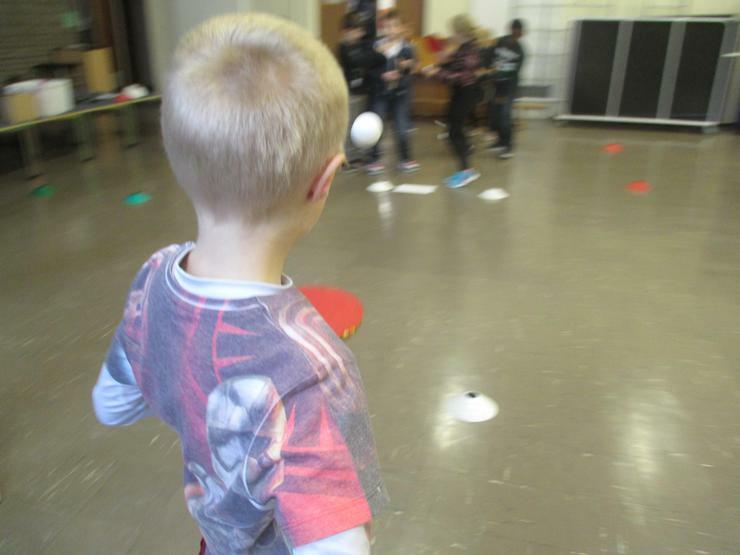 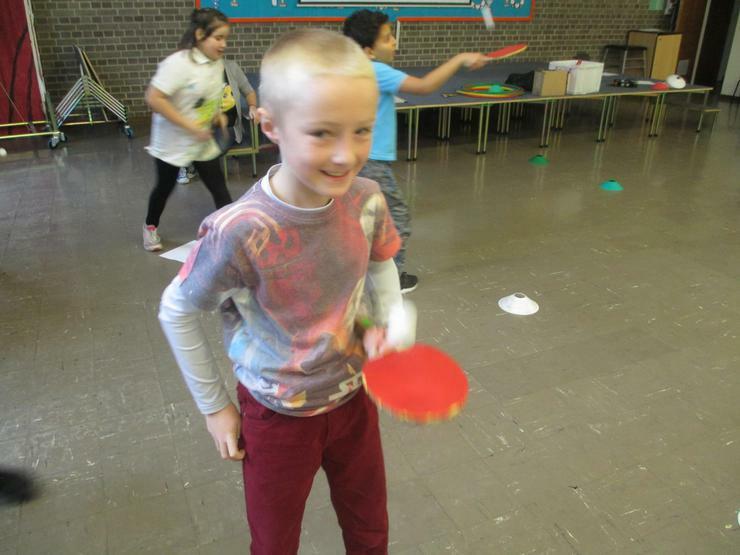 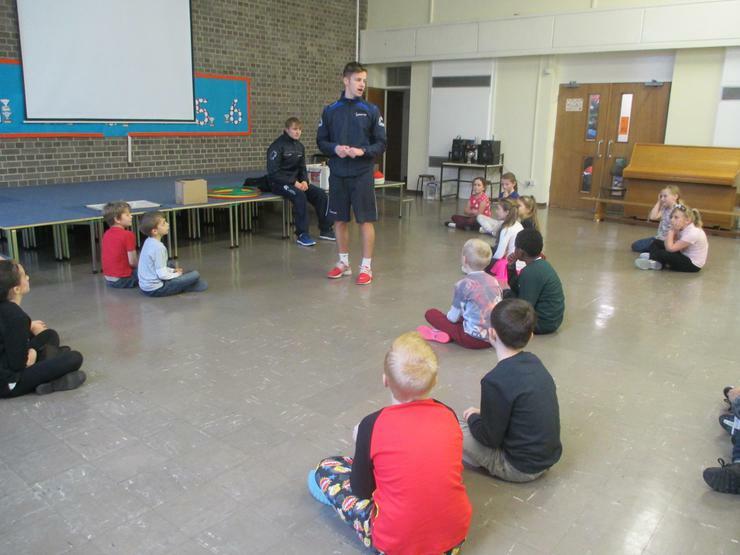 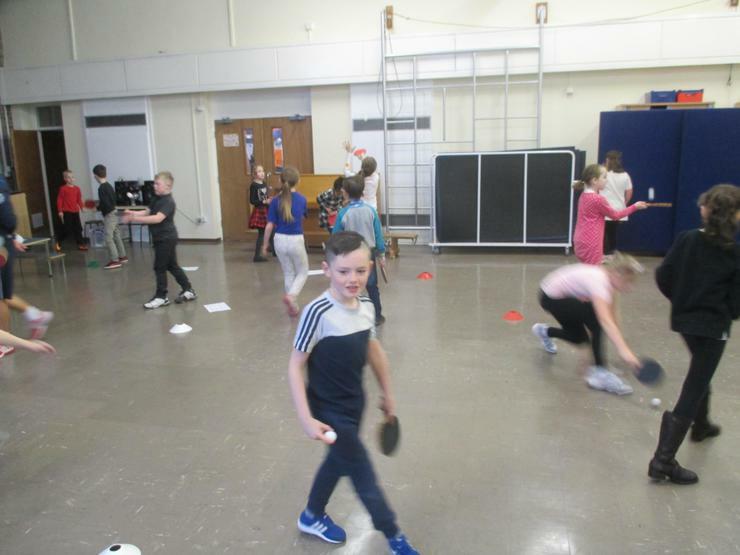 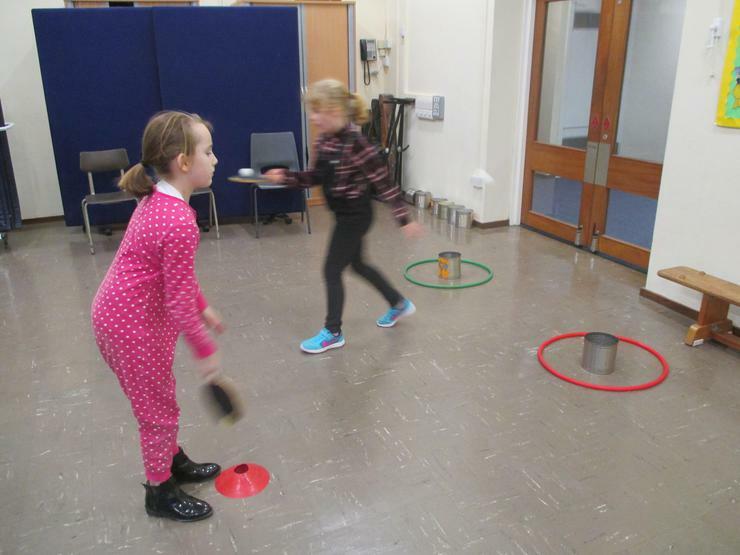 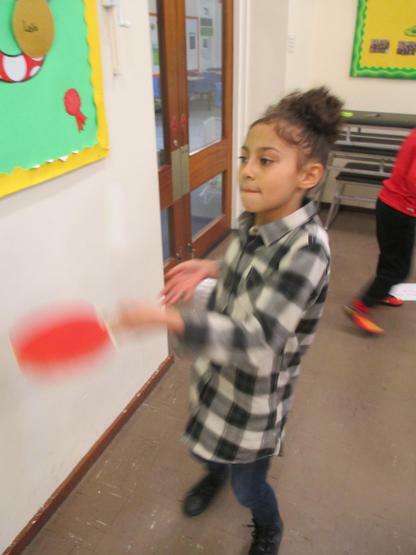 We were visited by Mr. Hughes and Mr. Holmes from Sports UK to teach us Table Tennis Skills today. 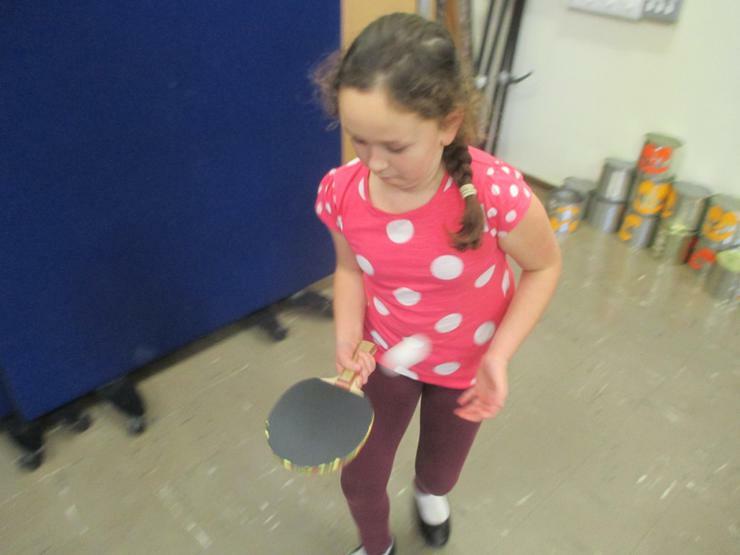 We had a fantastic time learning new skills ready for a tournament in Appleton High School in December. 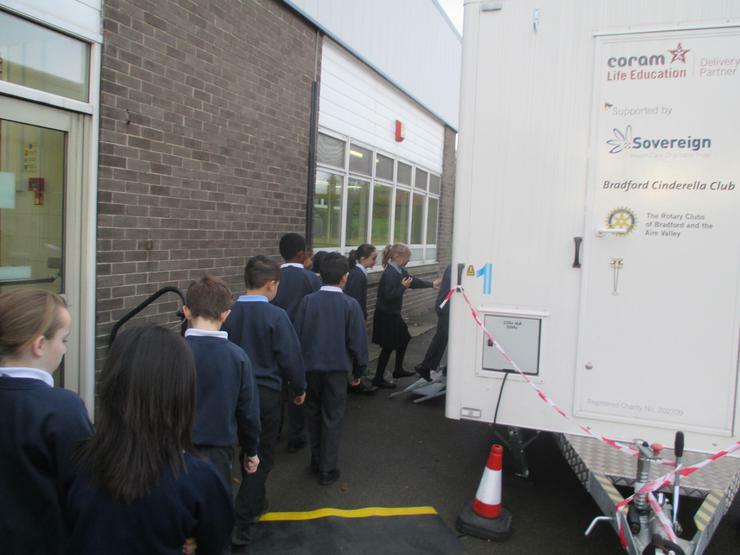 Today we were visited by the Life Caravan. 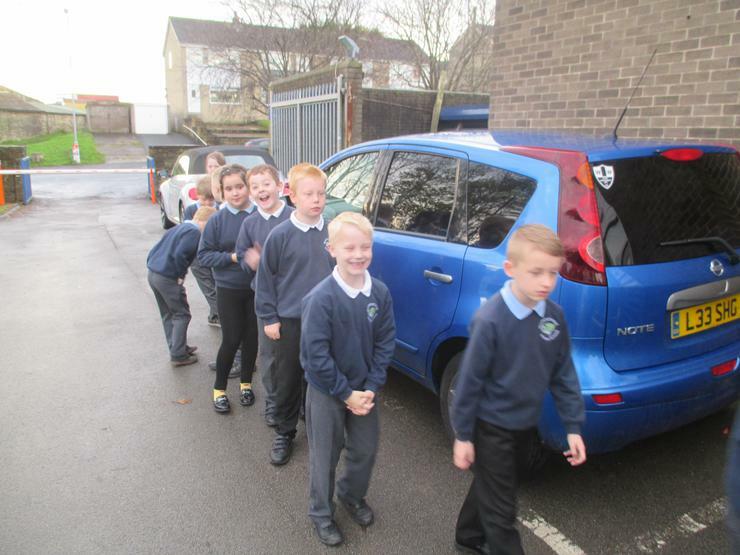 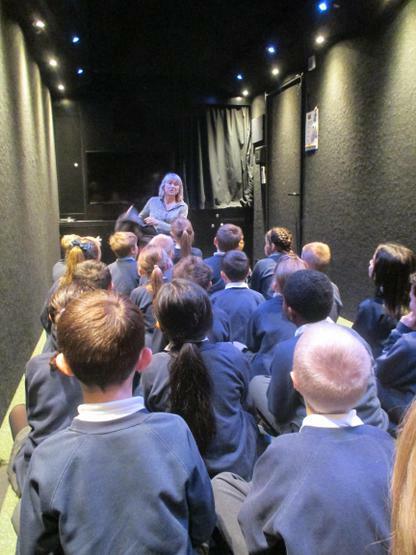 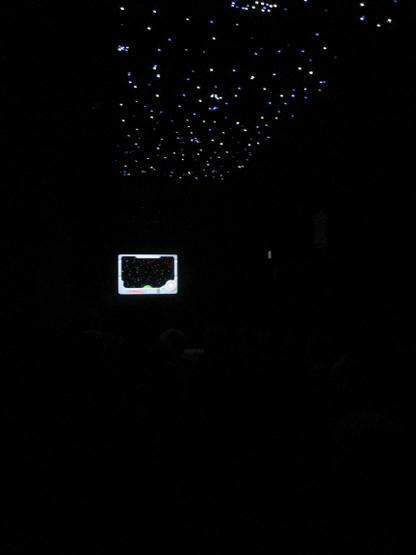 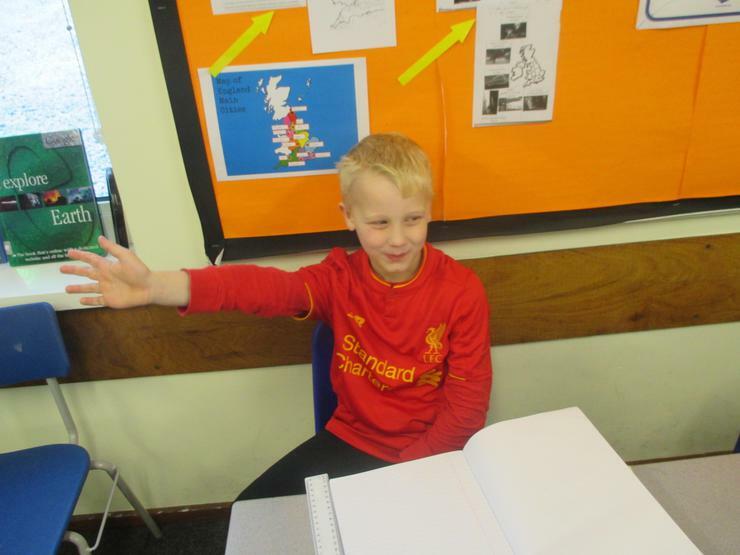 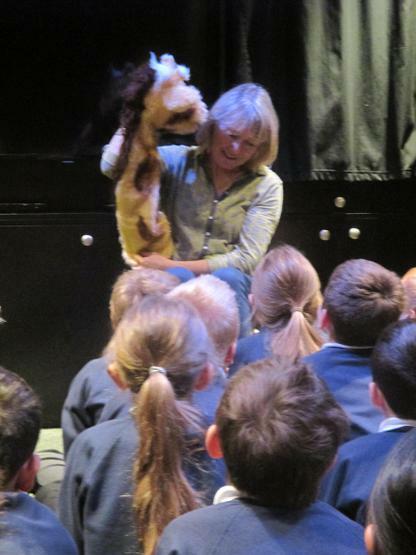 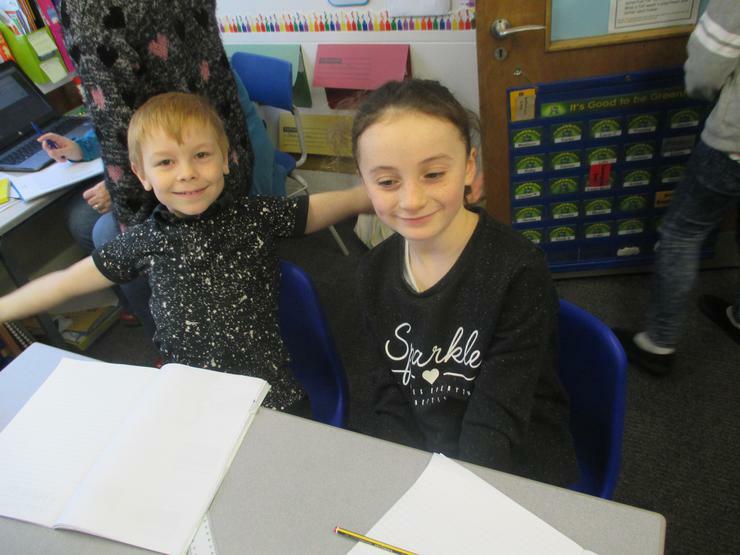 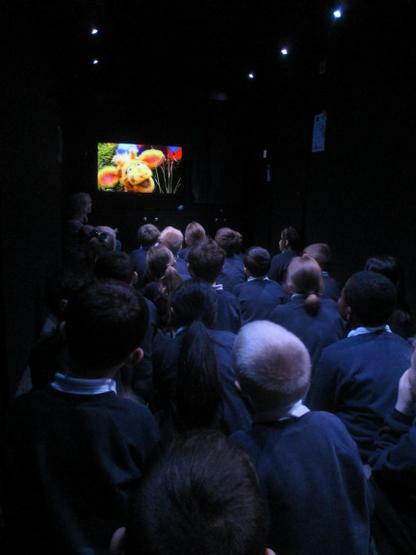 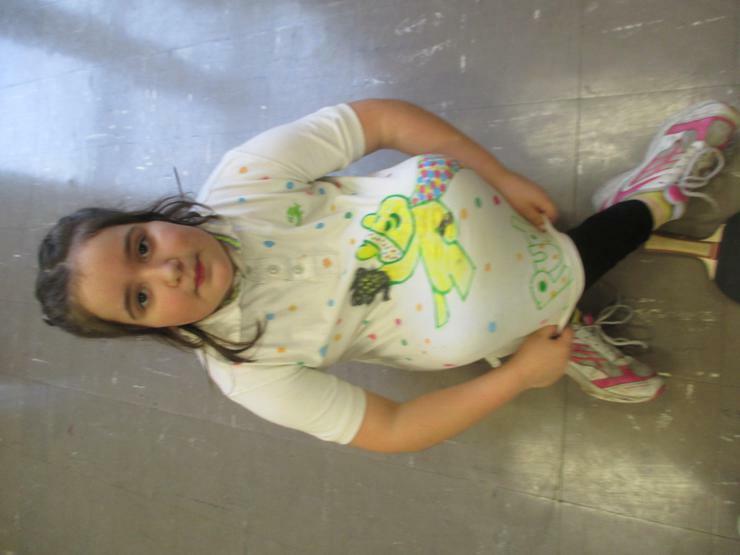 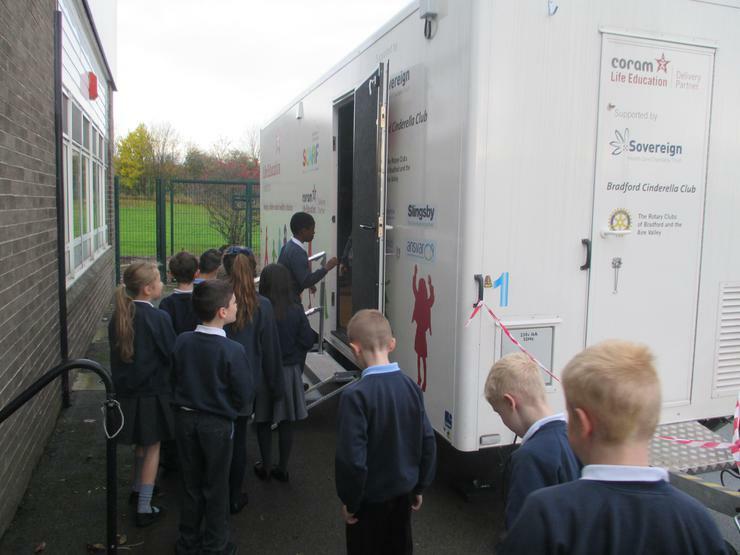 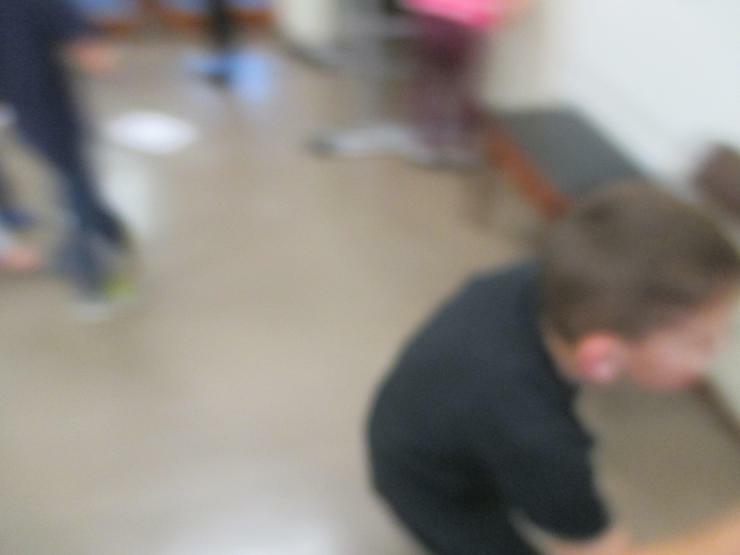 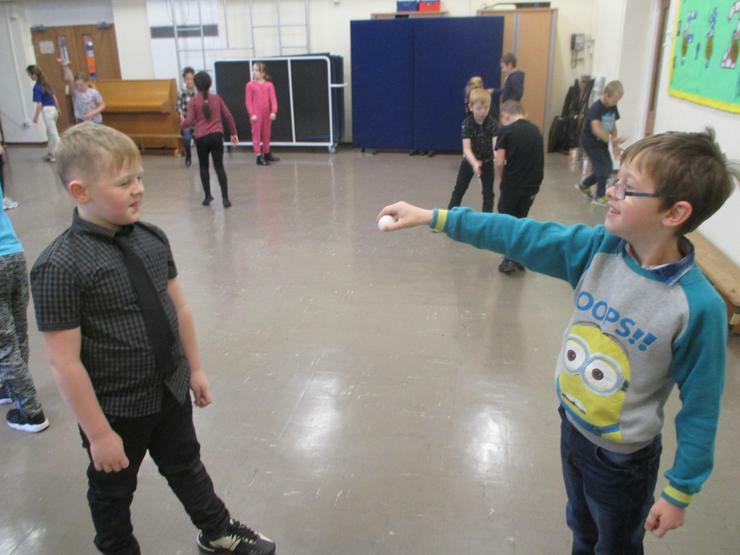 Inside the caravan we learnt how our bodies work and what our bodies need to stay healthy. 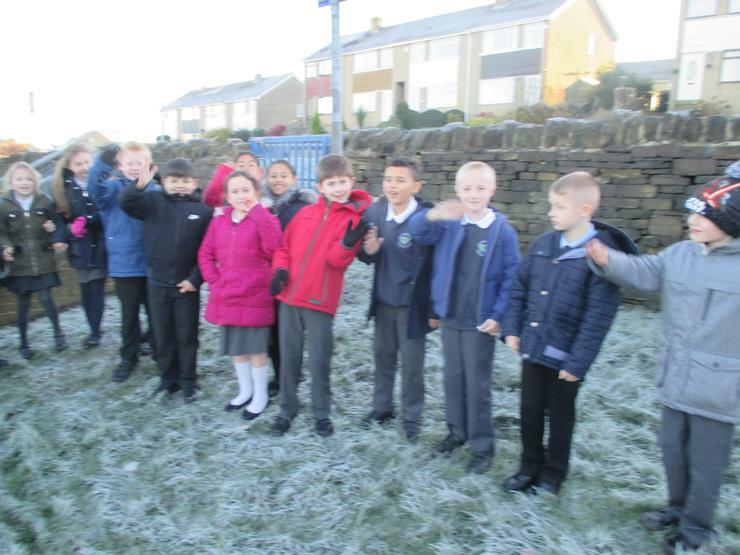 We learnt about the dangers of smoking and how we are all unique. 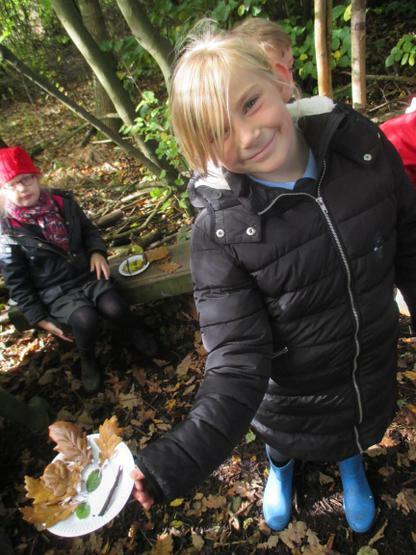 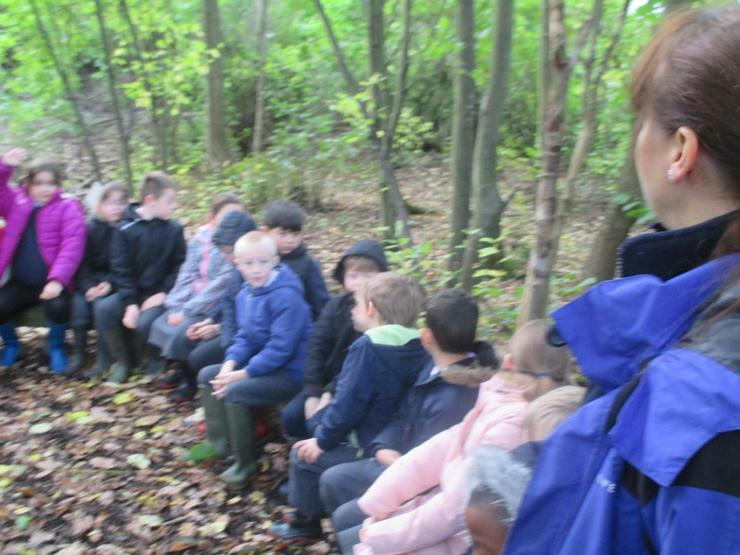 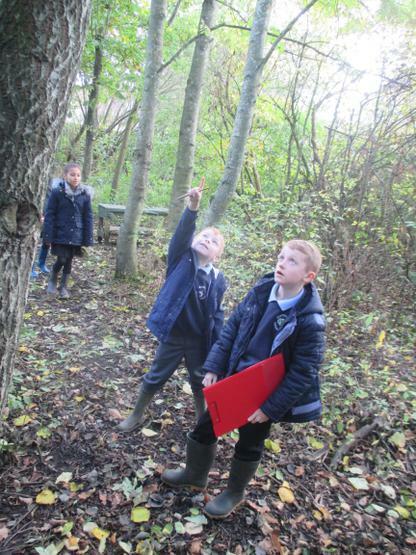 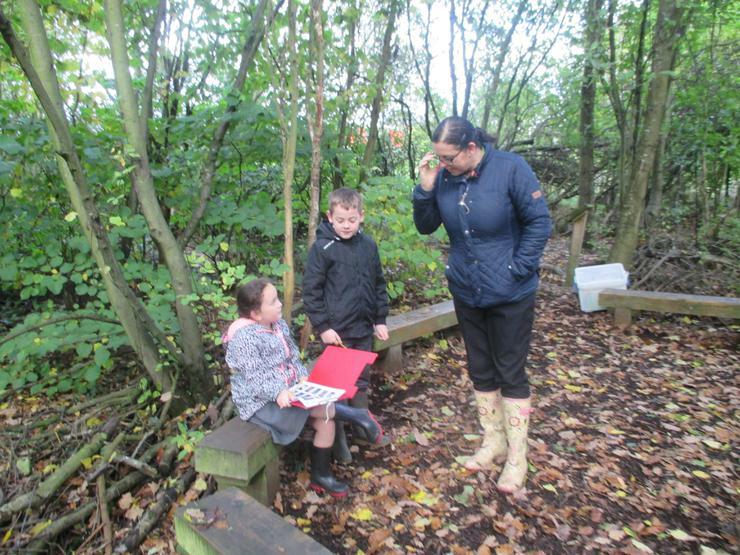 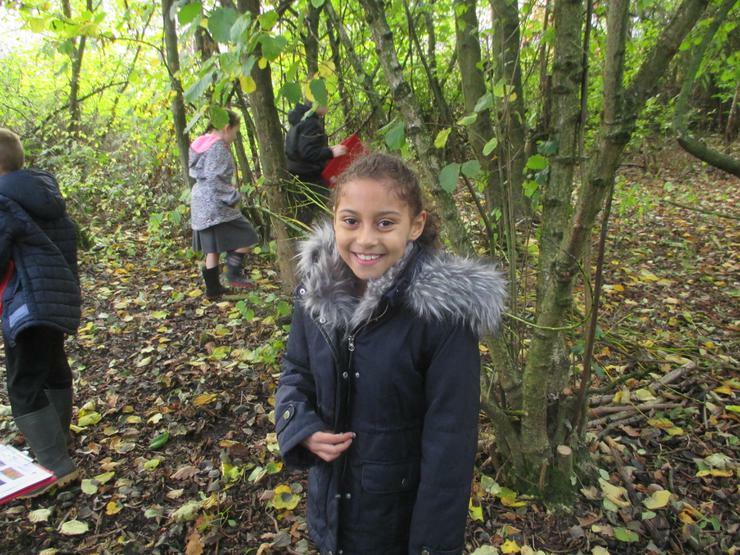 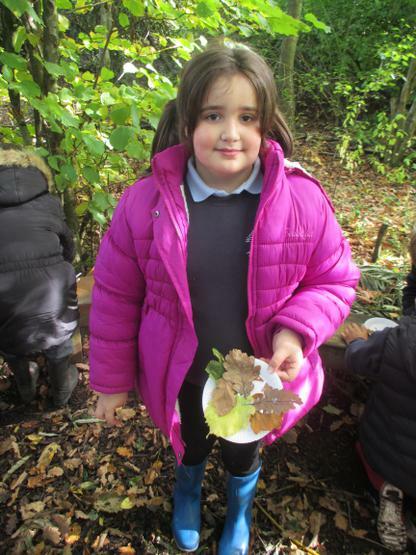 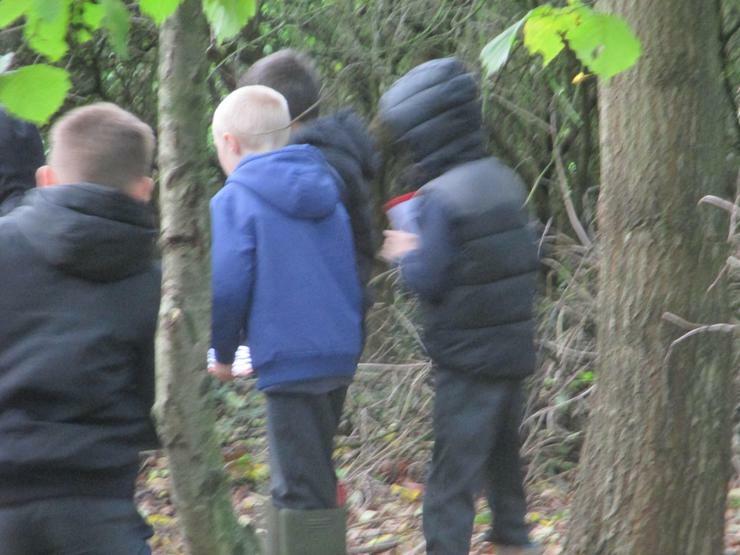 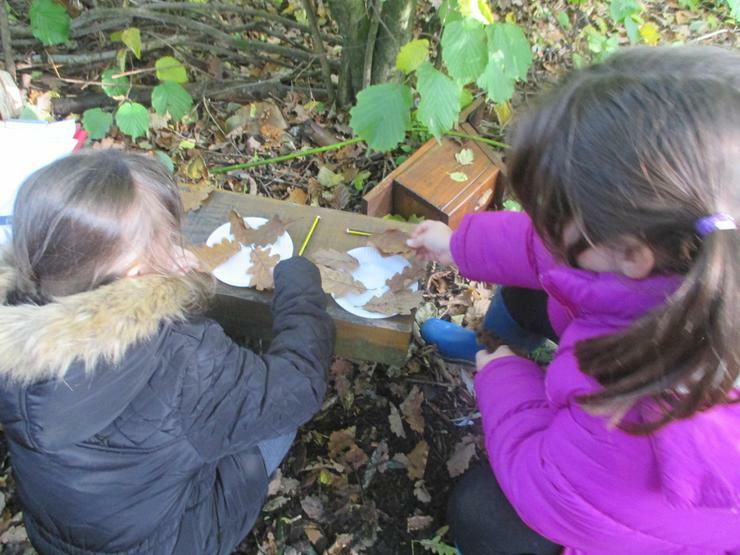 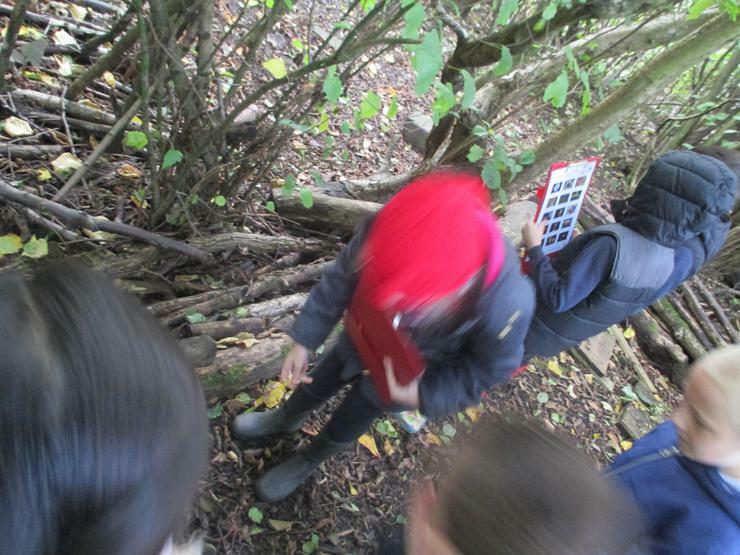 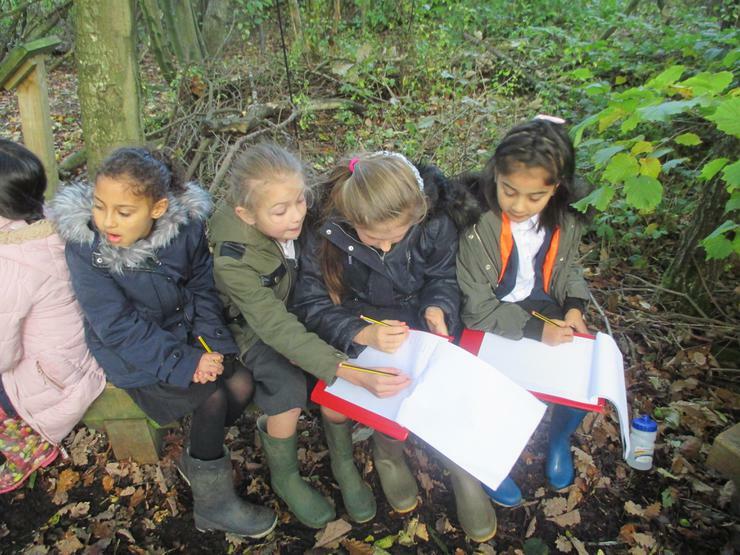 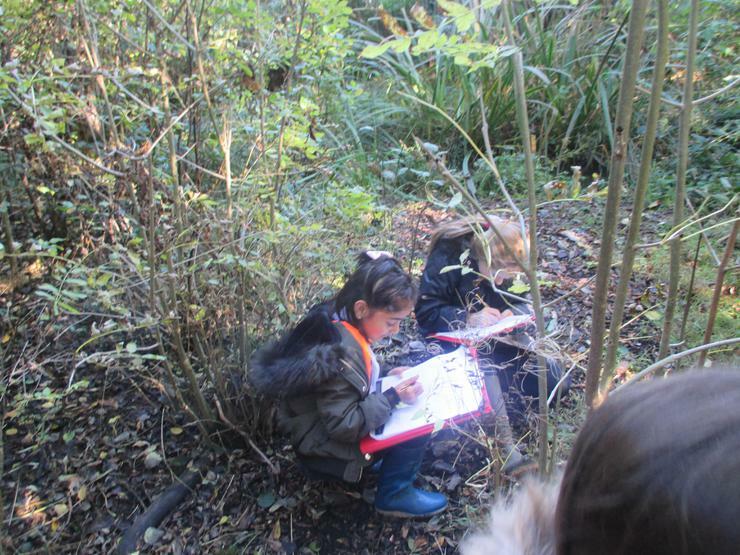 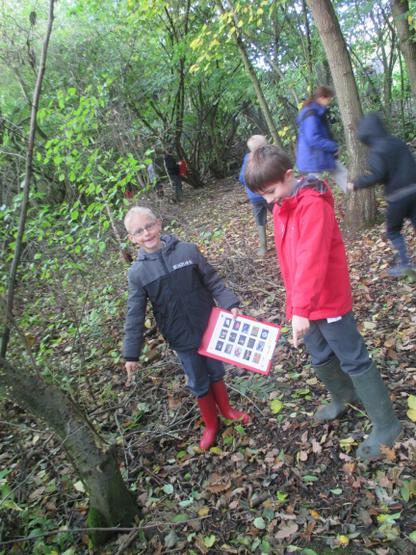 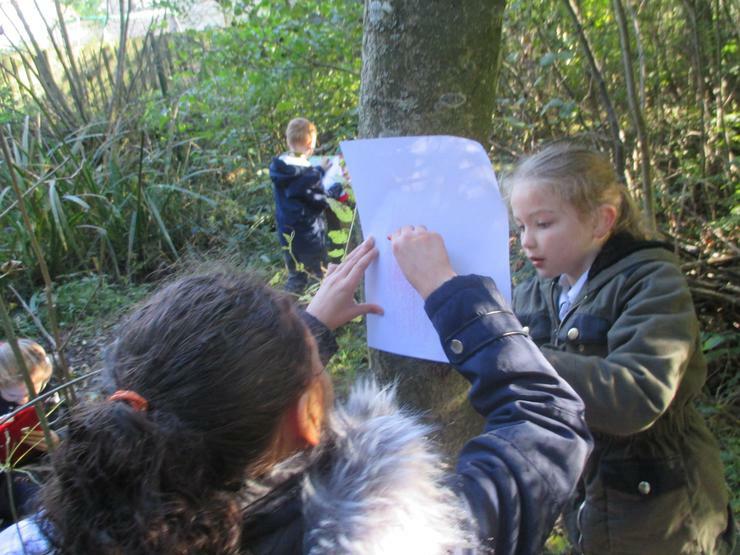 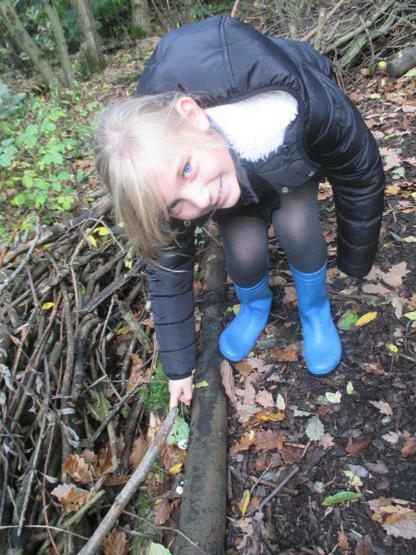 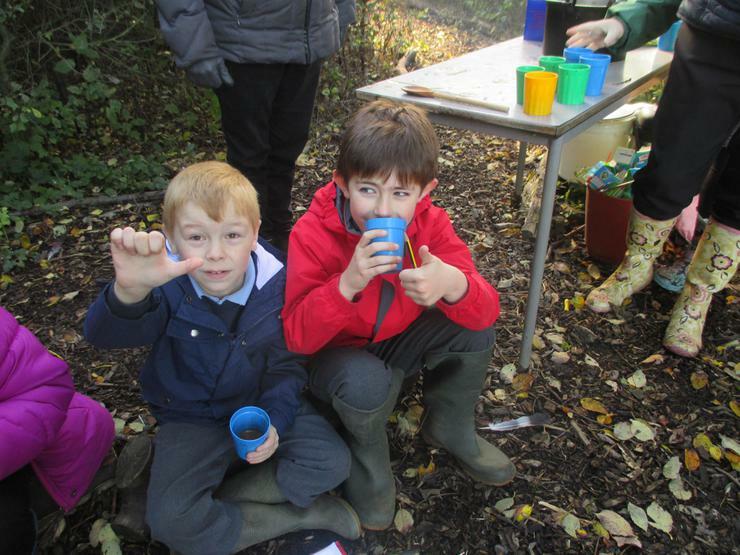 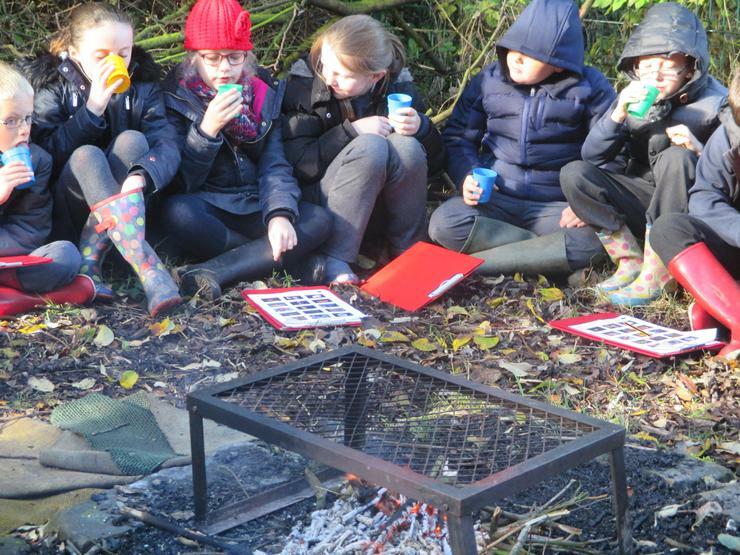 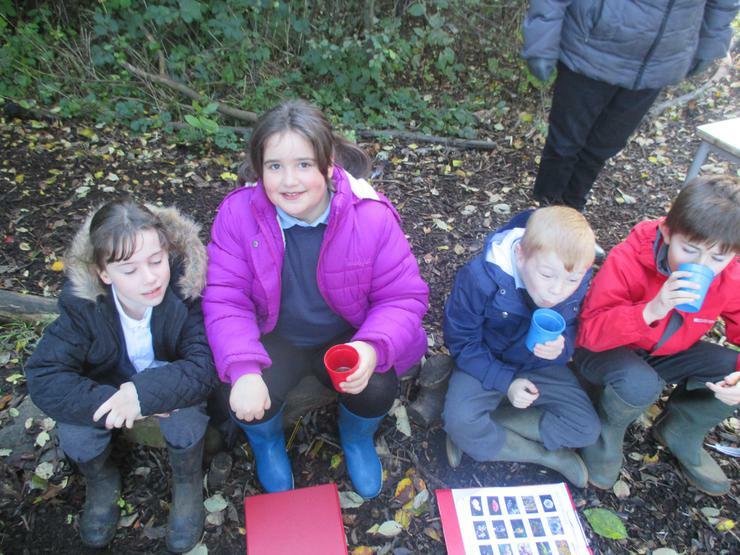 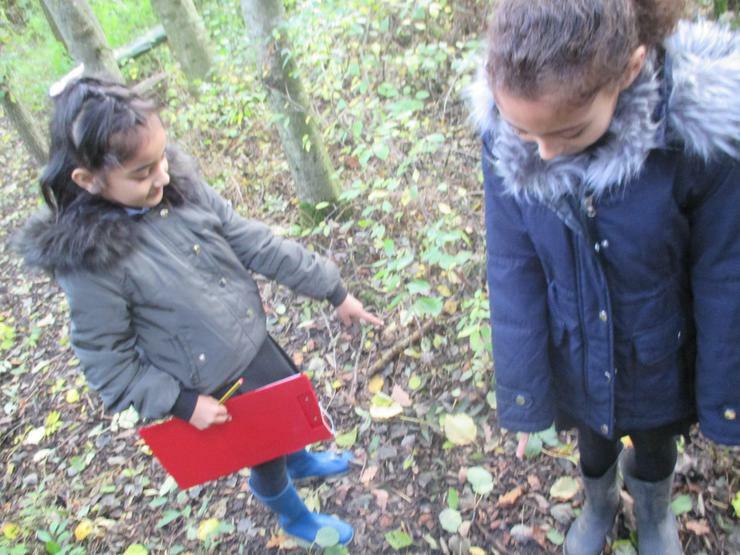 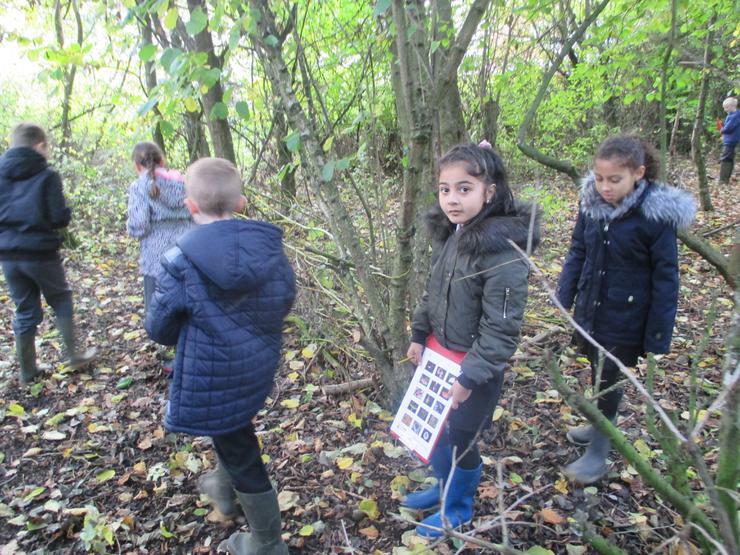 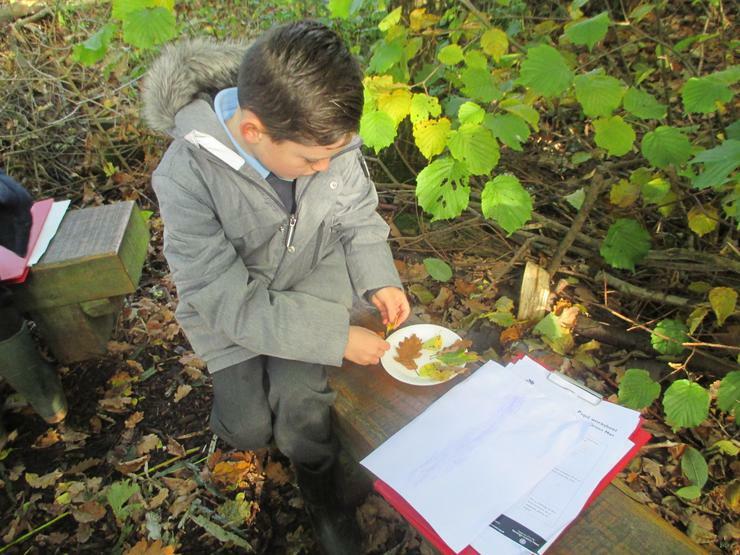 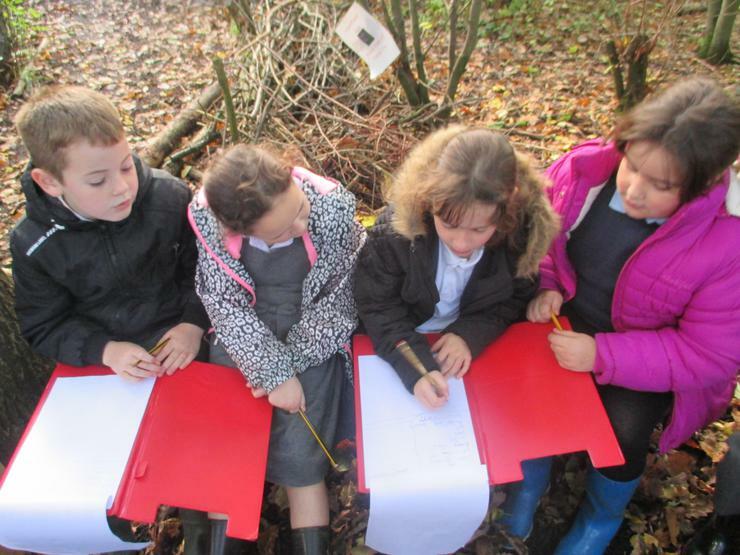 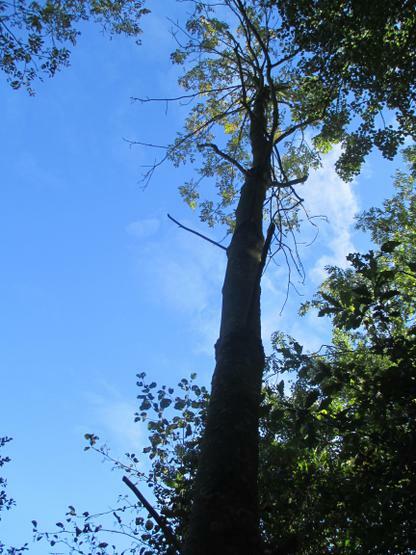 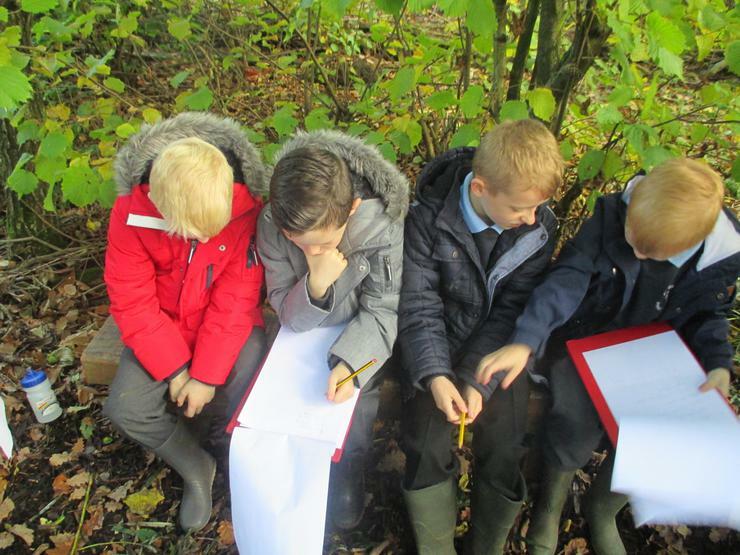 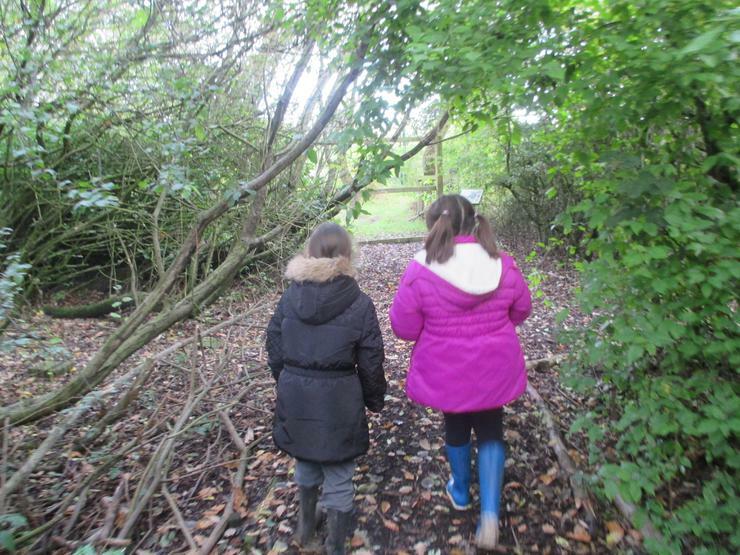 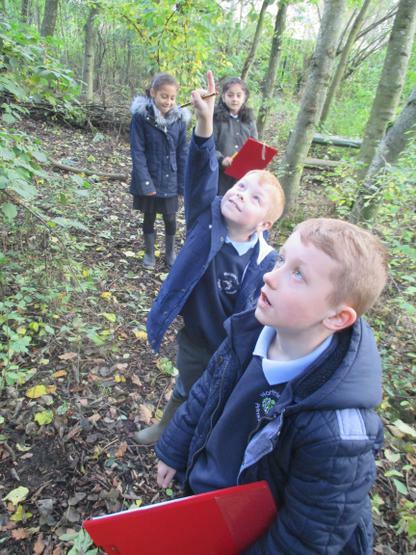 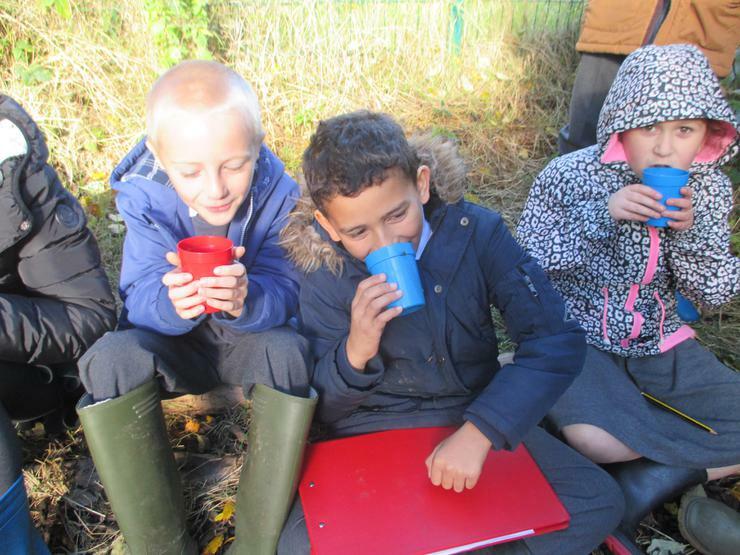 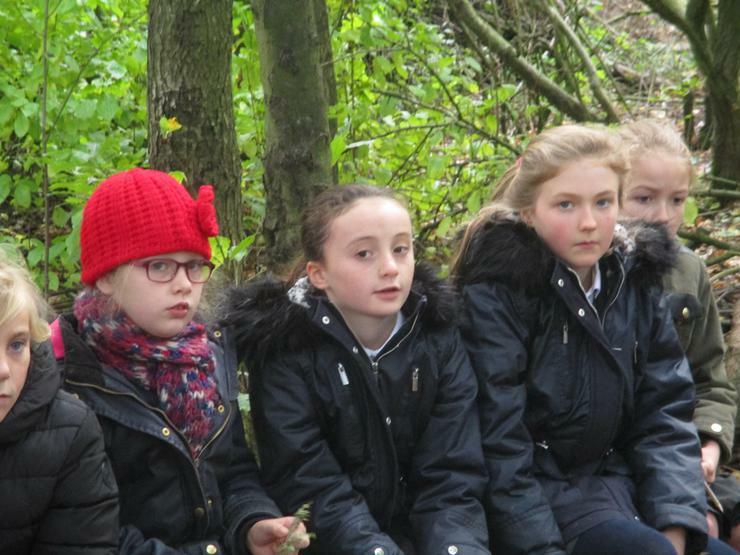 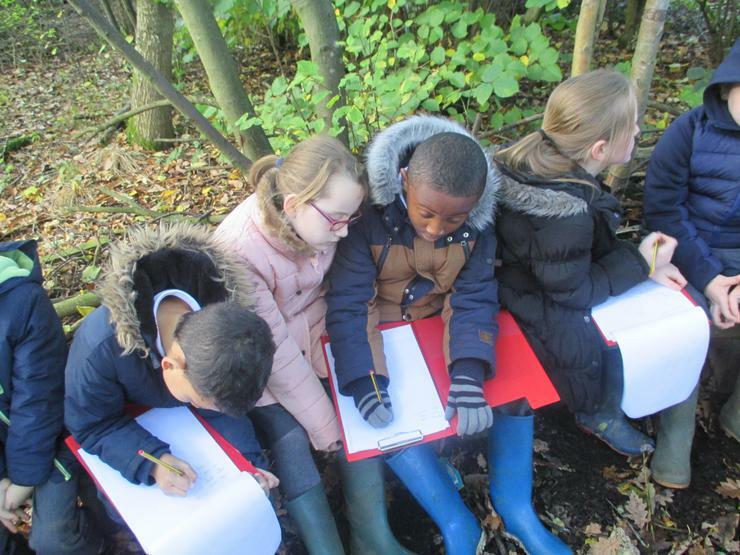 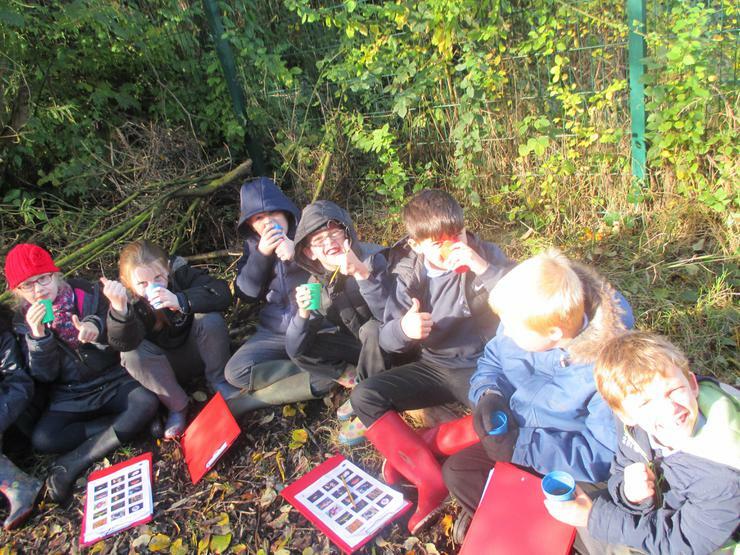 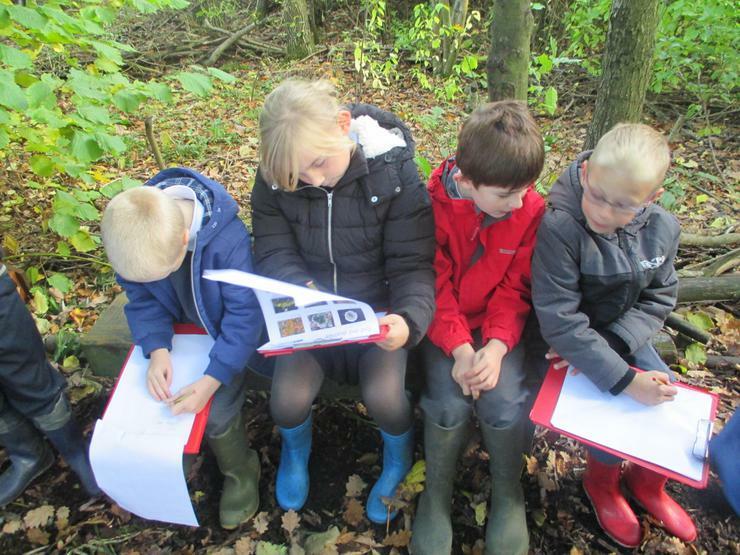 Today, Year 4 spent the morning down in the woods. 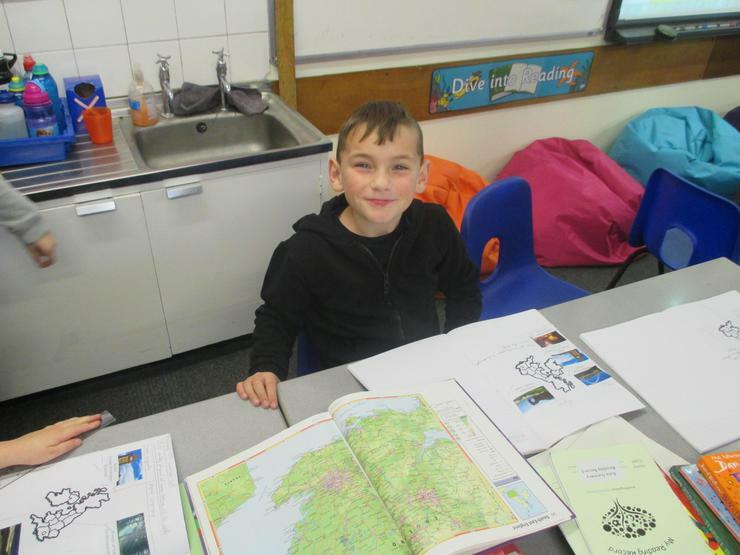 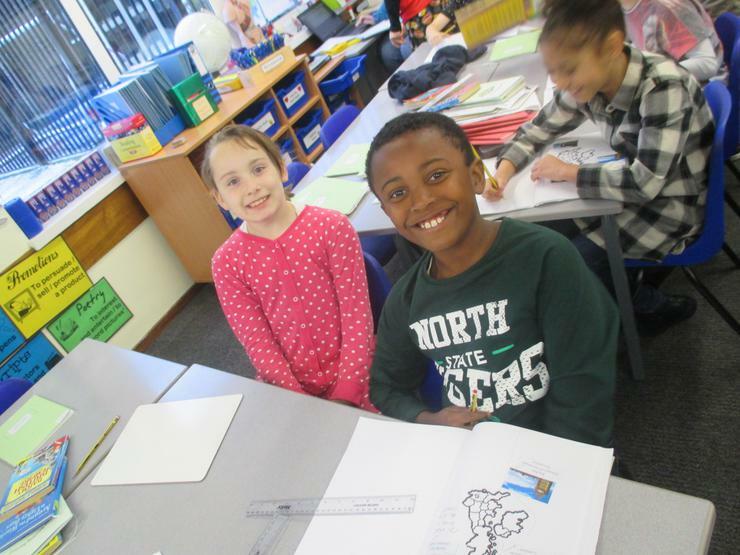 We spent the morning consolidating our learning in Literacy with focus on Poetry and Narrative. 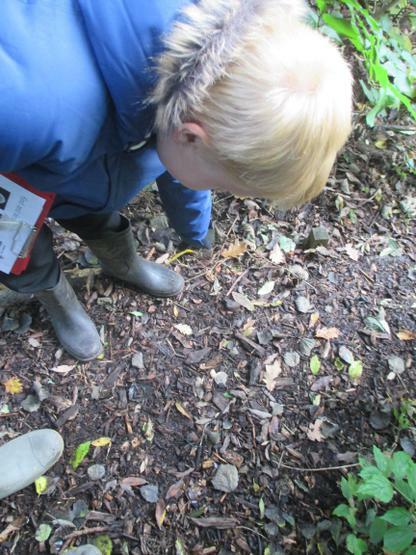 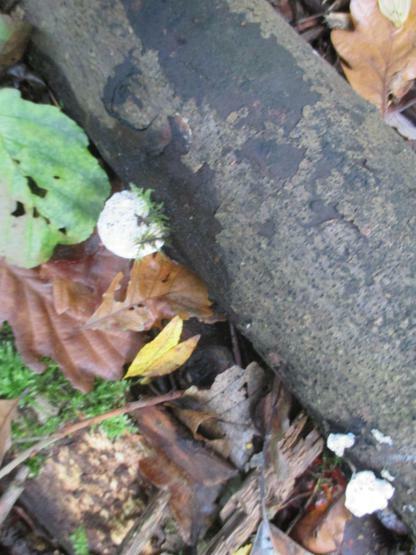 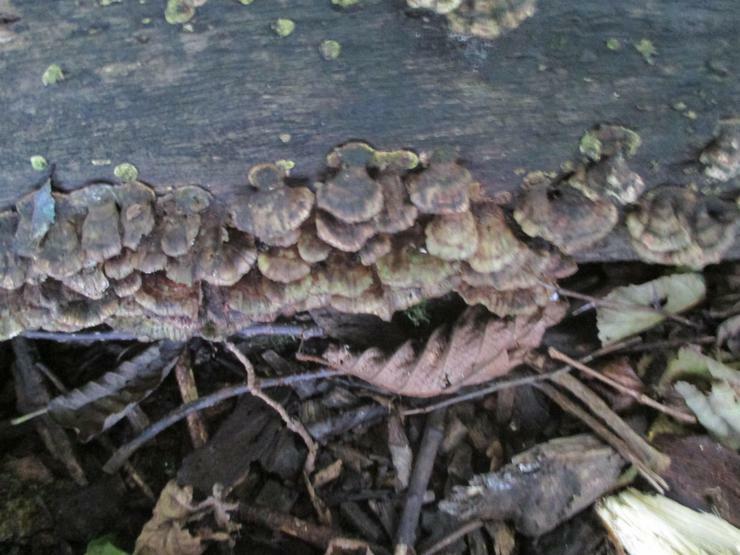 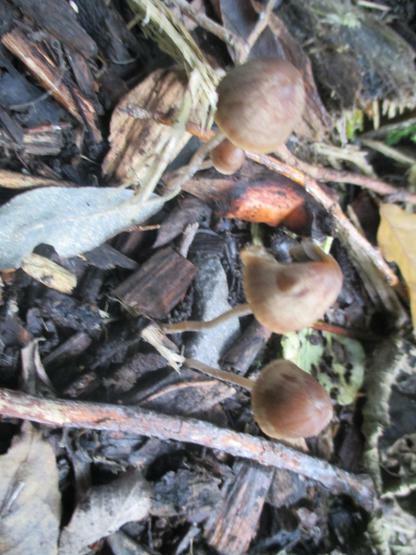 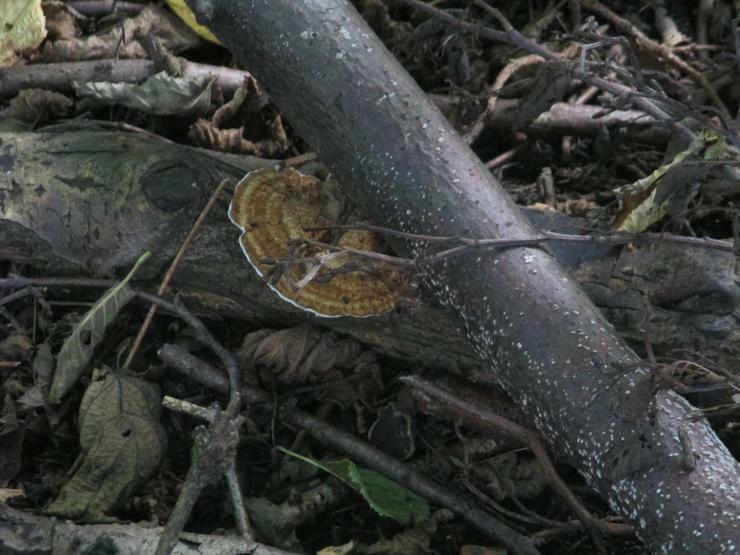 First, we identified various leaves and fungi from an observation sheet. 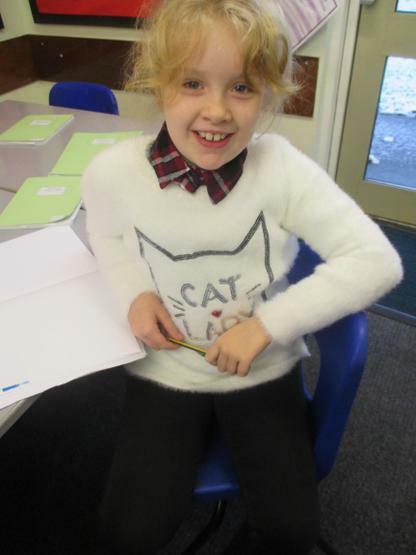 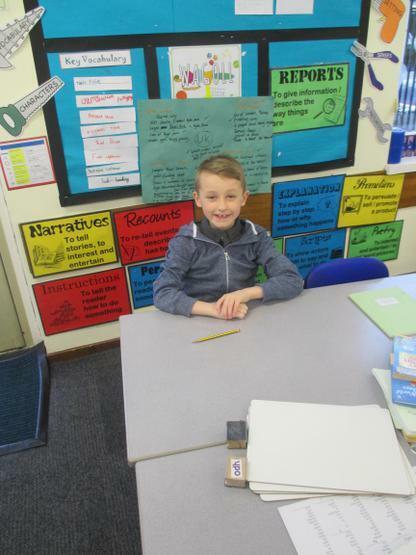 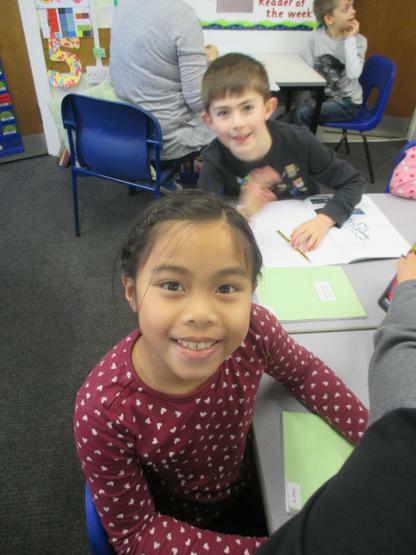 We then collected these nouns and added adjectives to create ideas for our current English topic poetry. 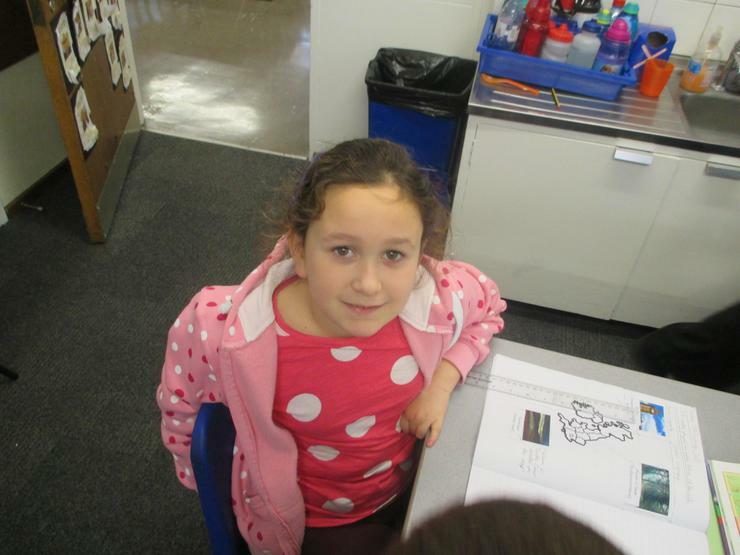 We will use these ideas to write a poem tomorrow in class. 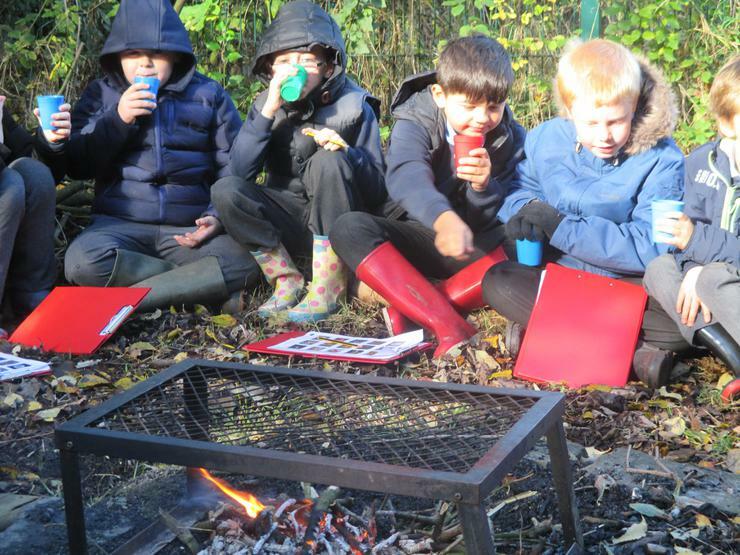 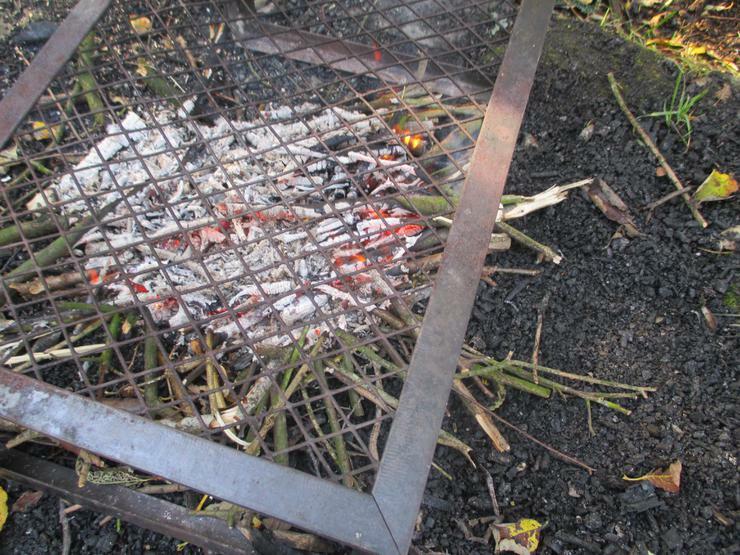 Next, we sat around a fire and enjoyed some nice, warm cocoa! 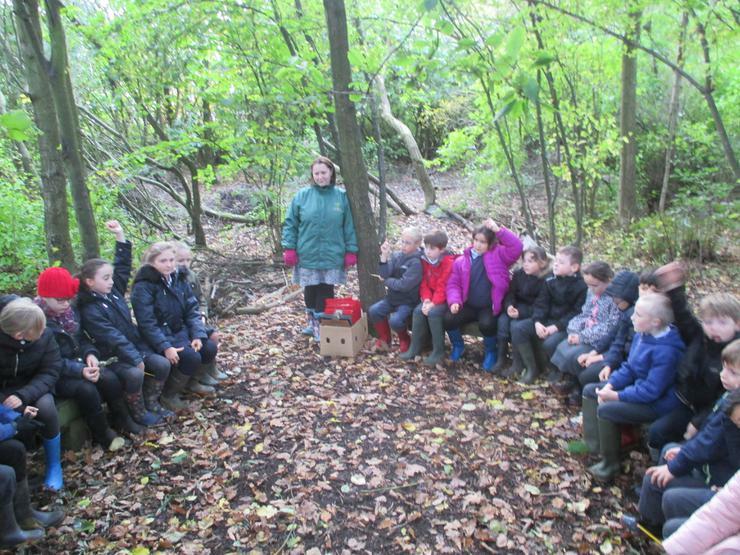 We then listened to the myth of 'The Green Man' who symbolises death and resurrection of the leaves during Winter and Summer time. 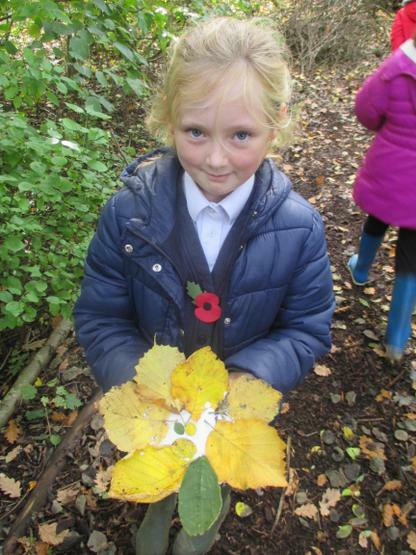 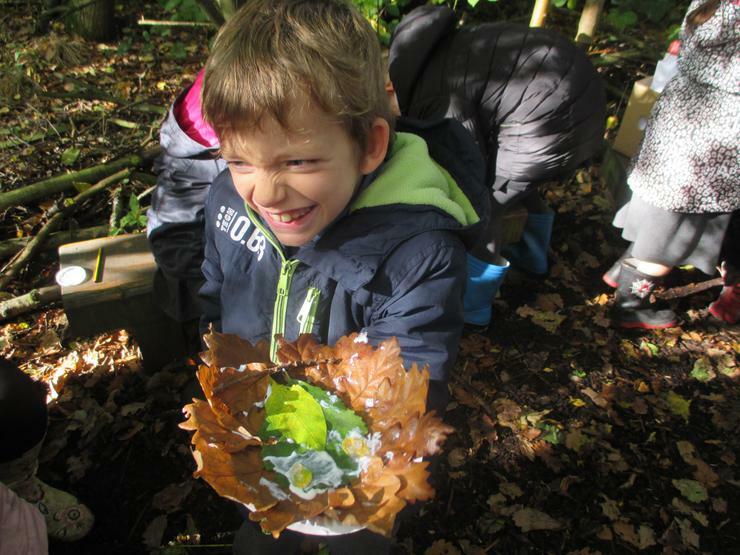 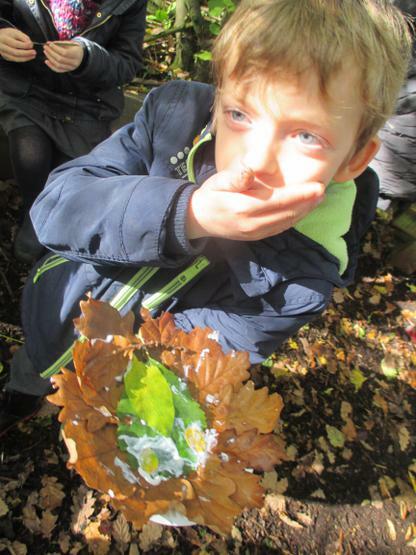 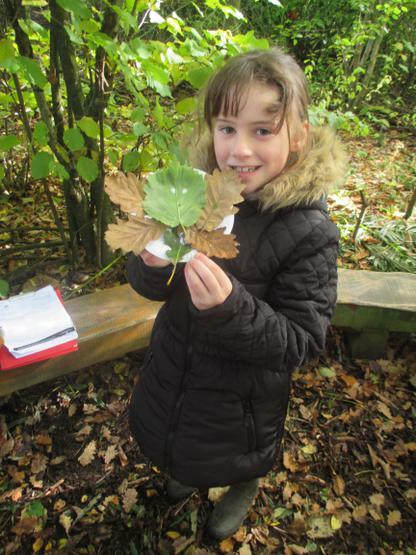 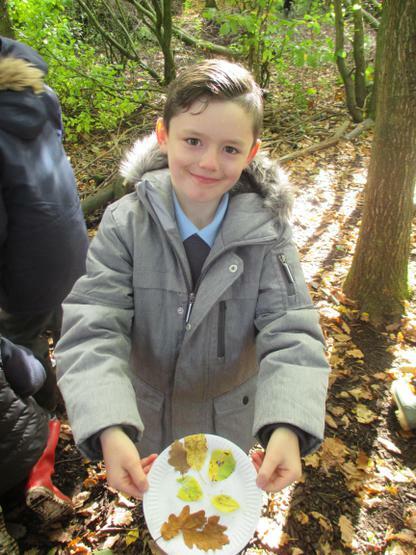 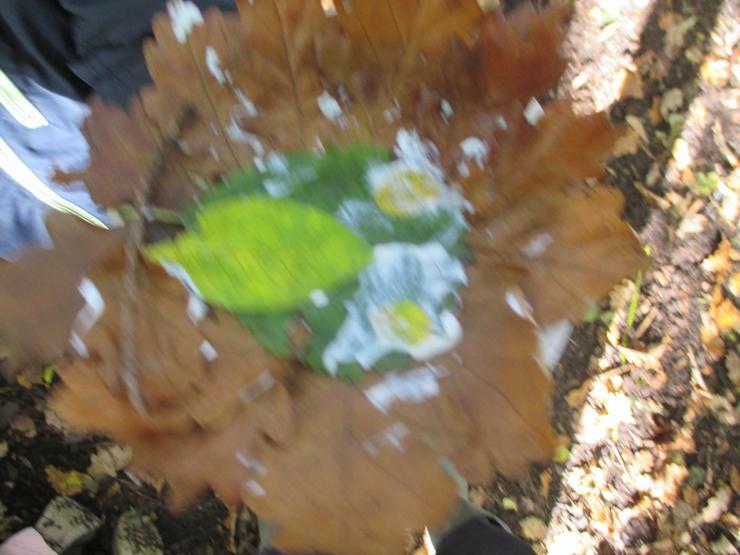 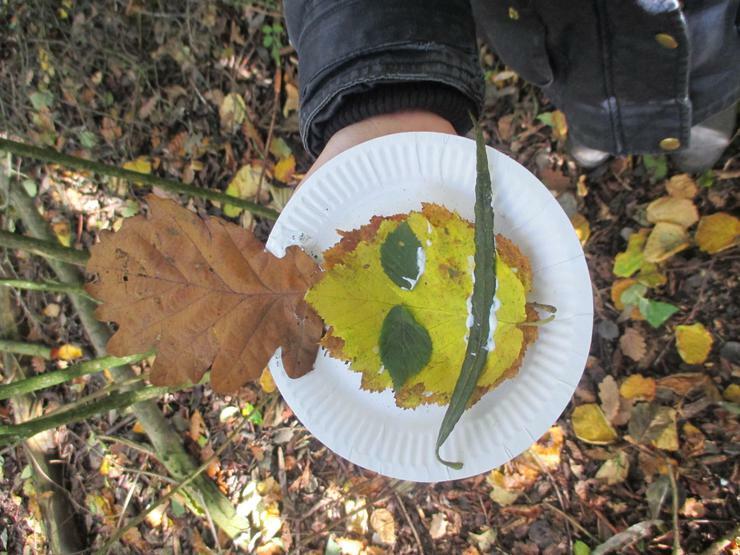 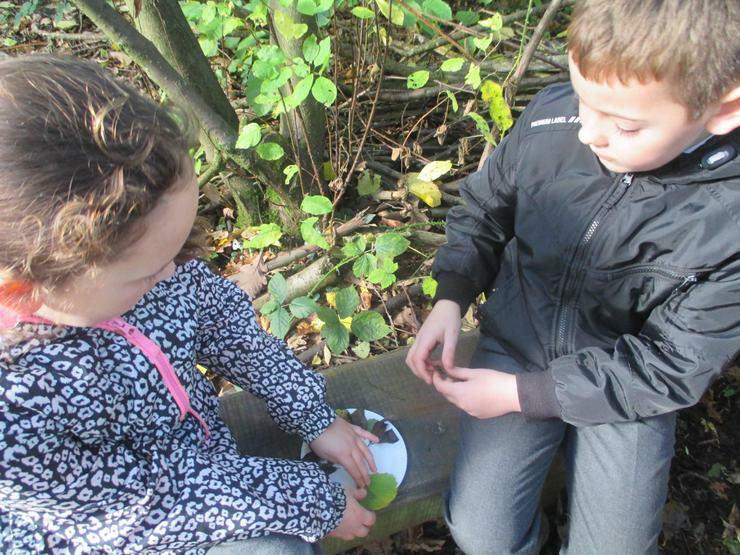 We then crafted our own versions of The Green Man's image, using leaves, glue and a paper plate. 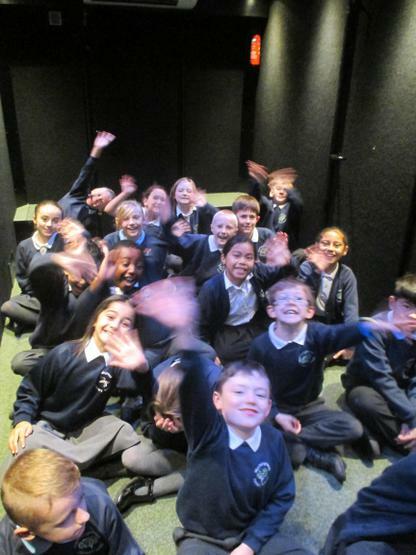 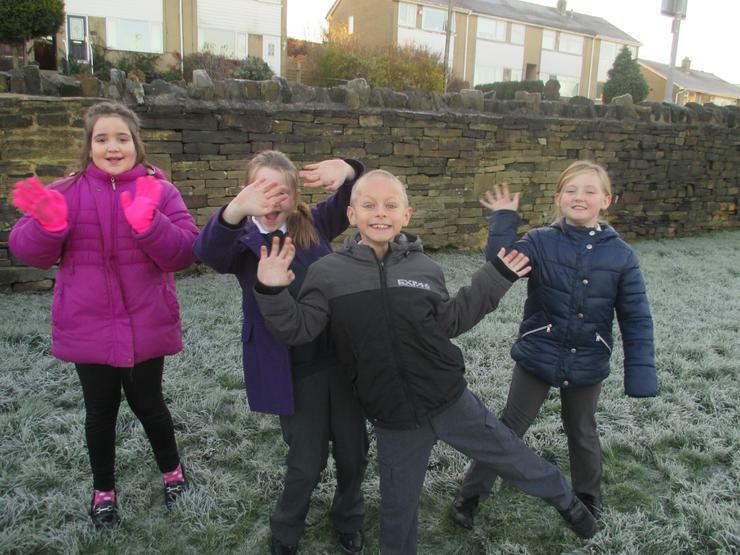 As you can see from the photos, we thoroughly enjoyed ourselves!